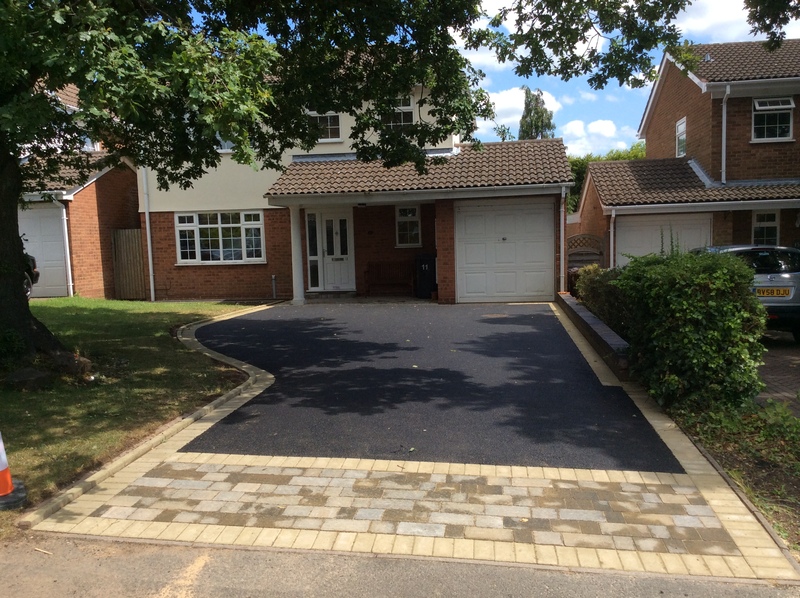 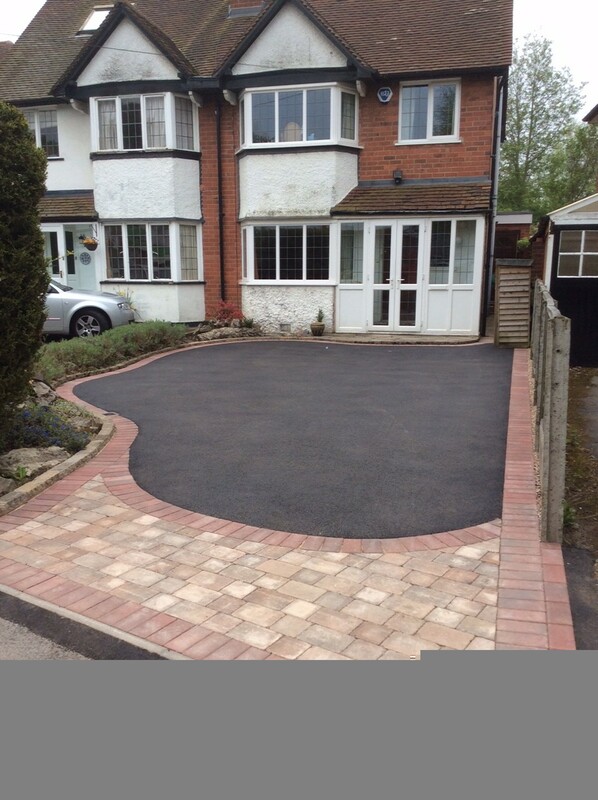 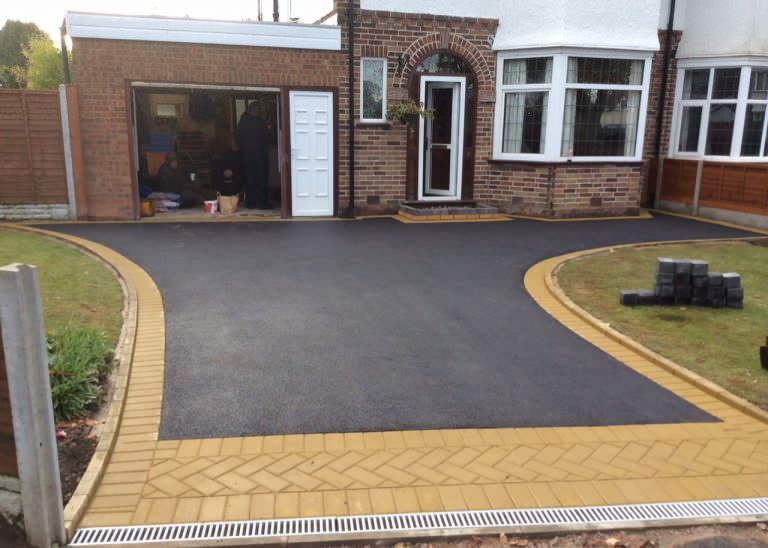 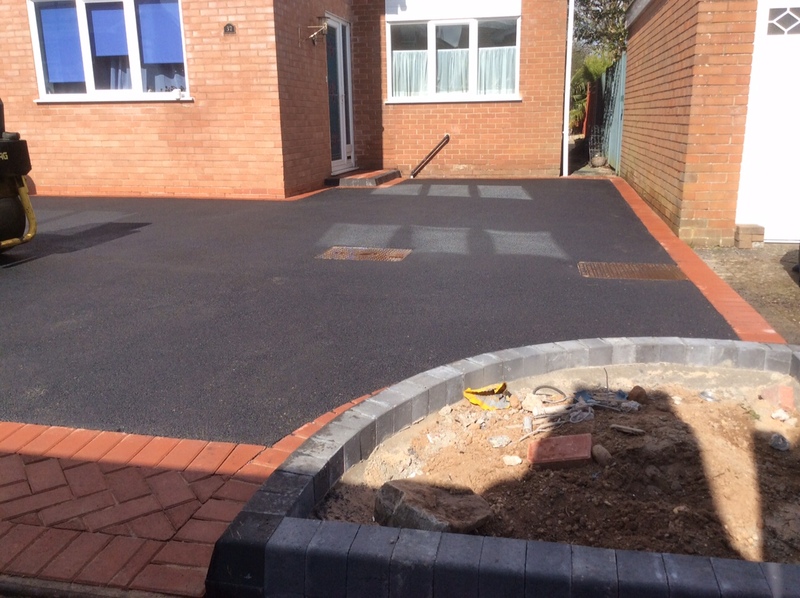 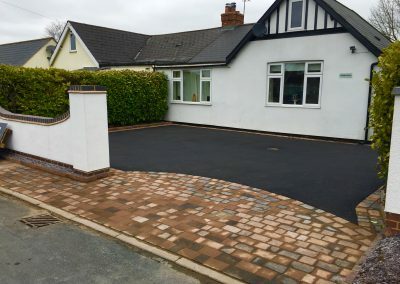 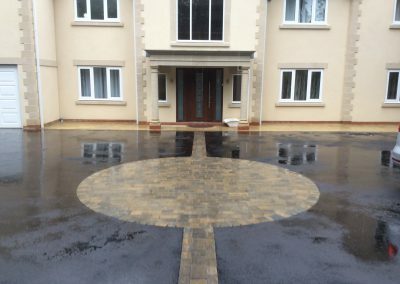 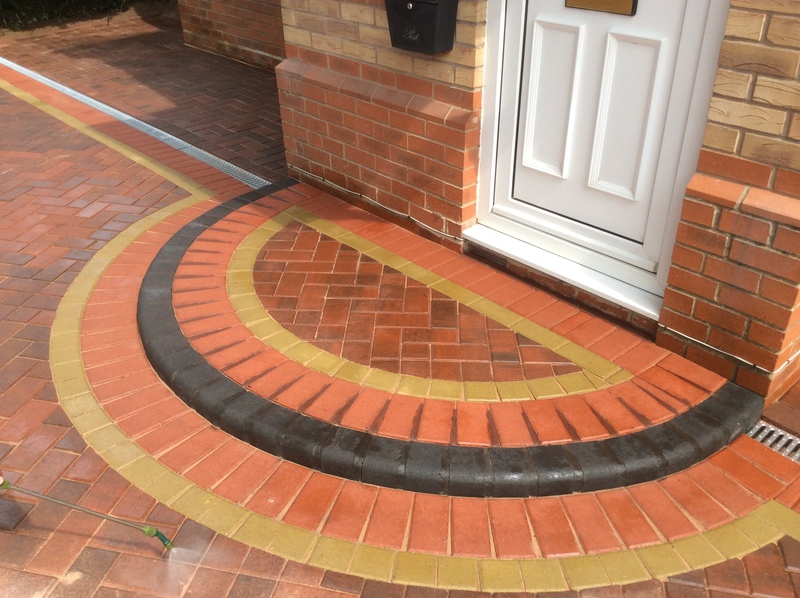 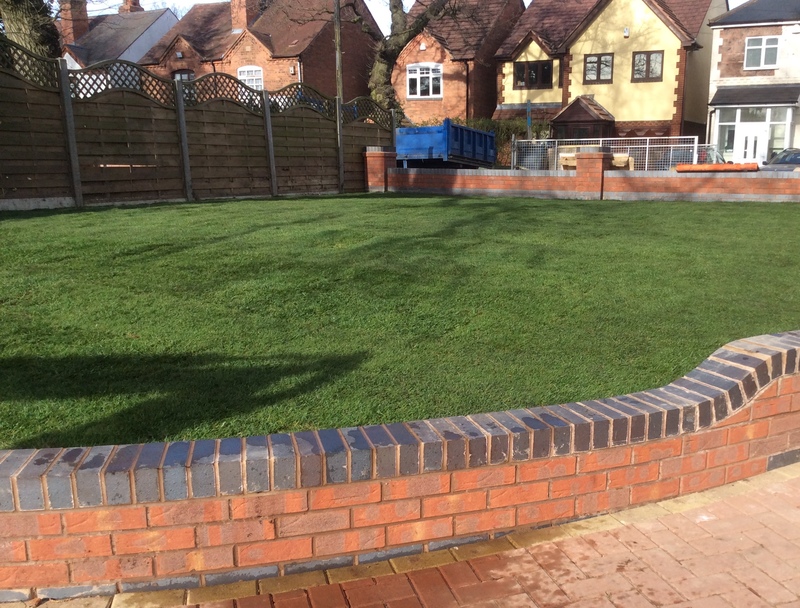 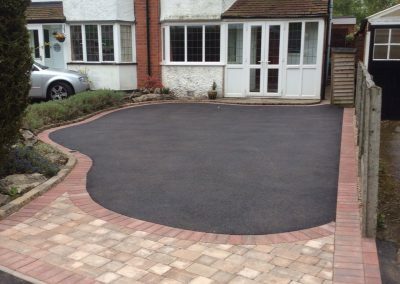 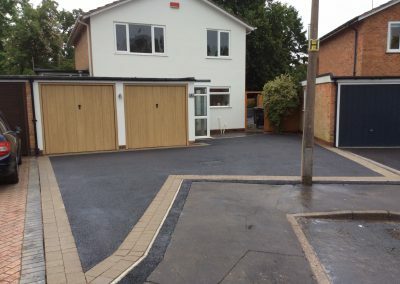 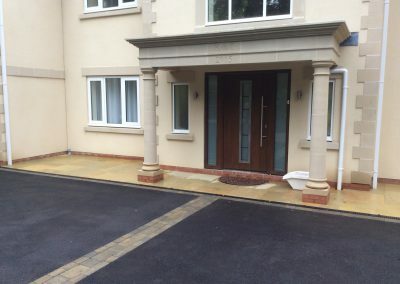 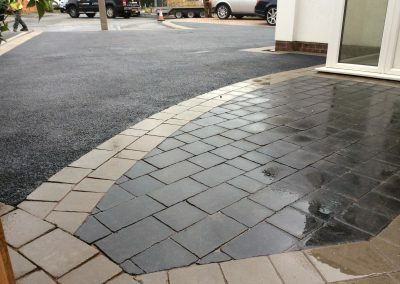 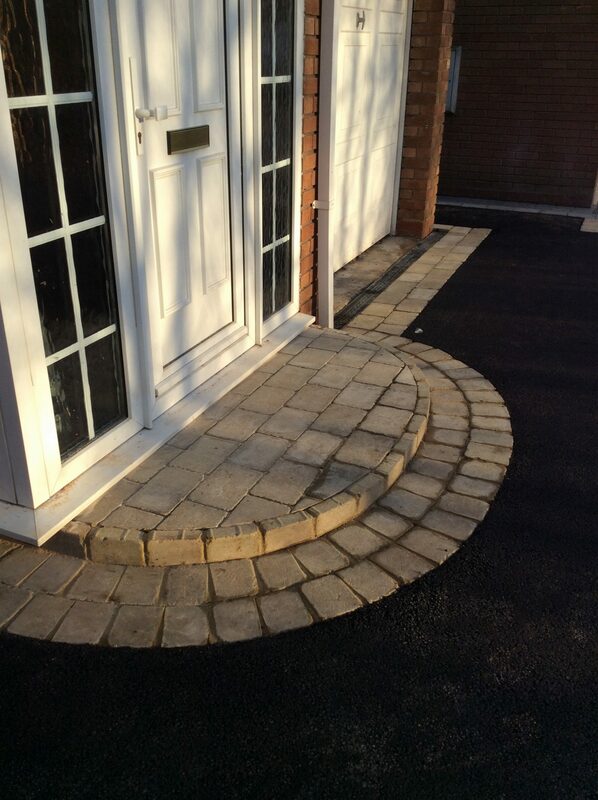 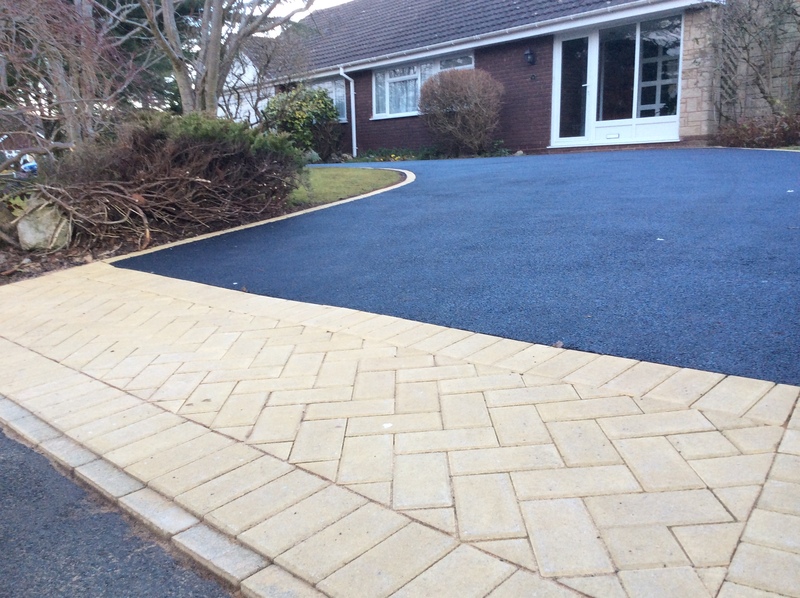 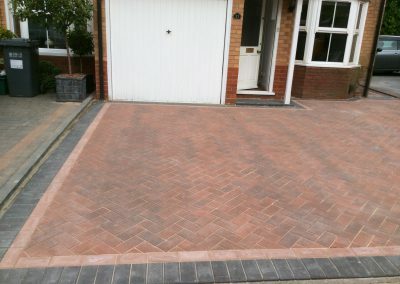 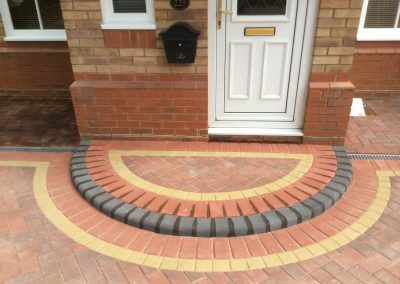 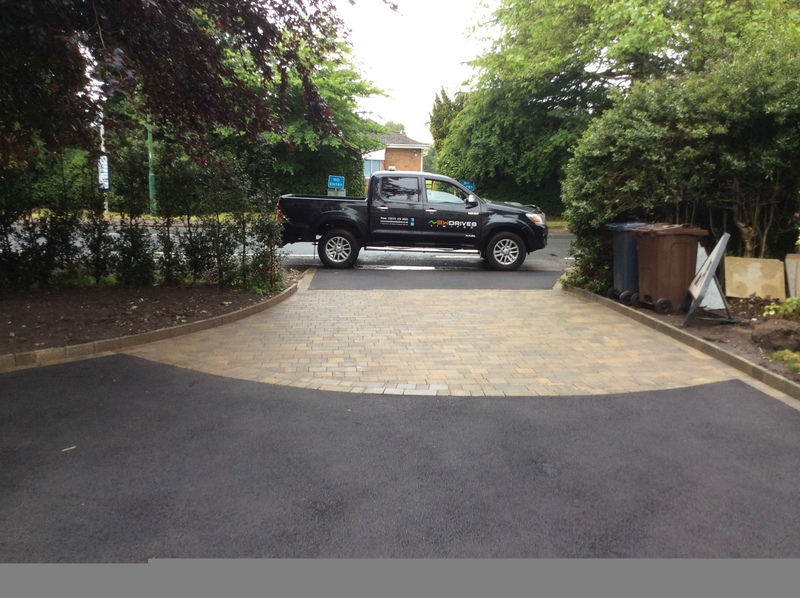 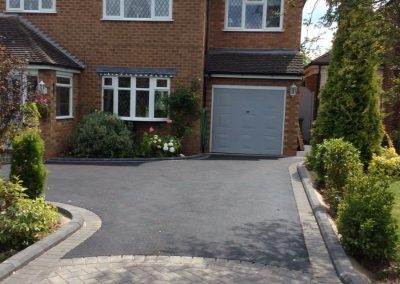 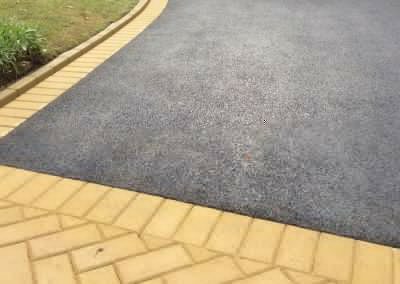 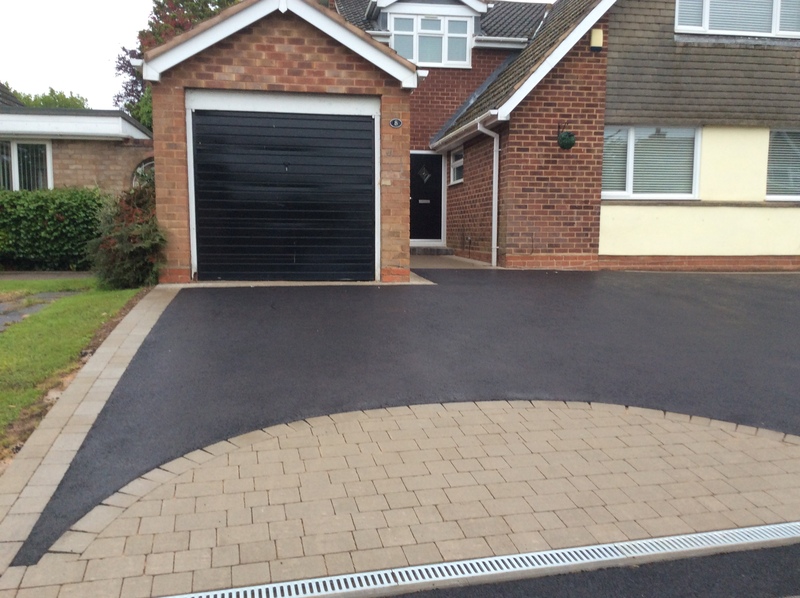 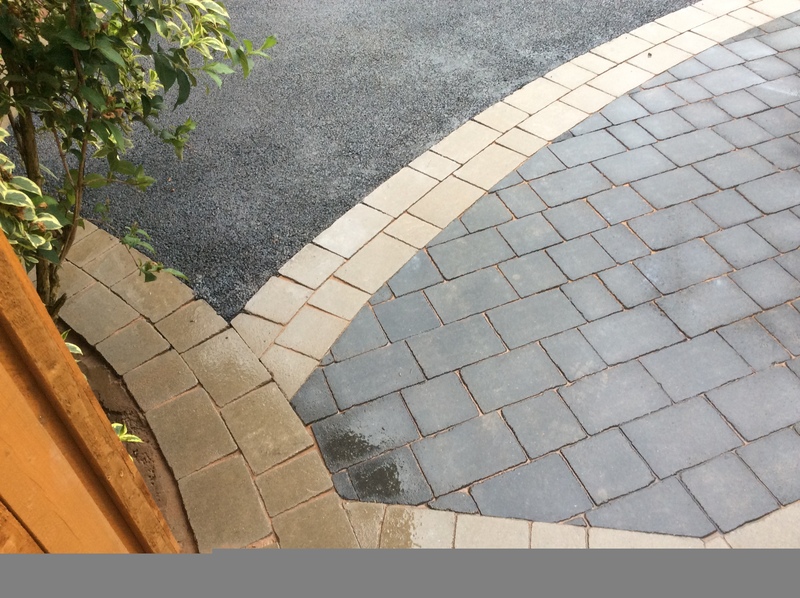 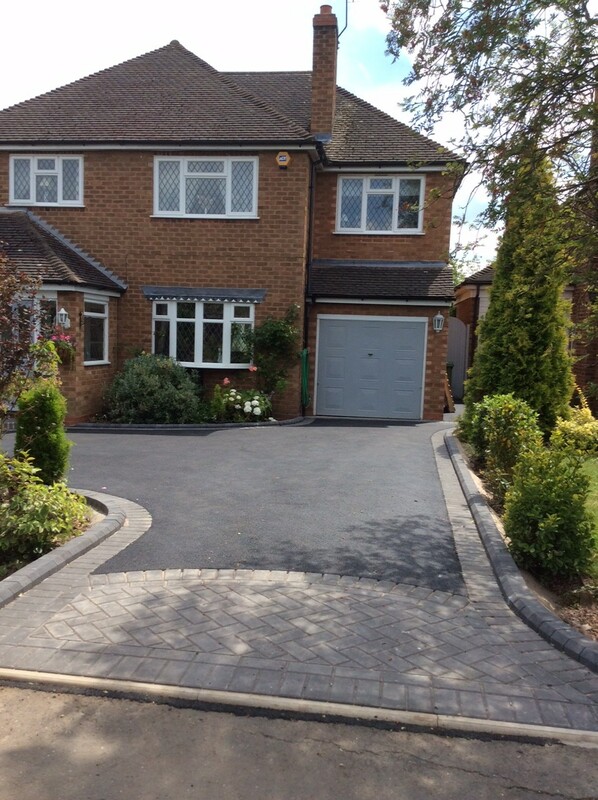 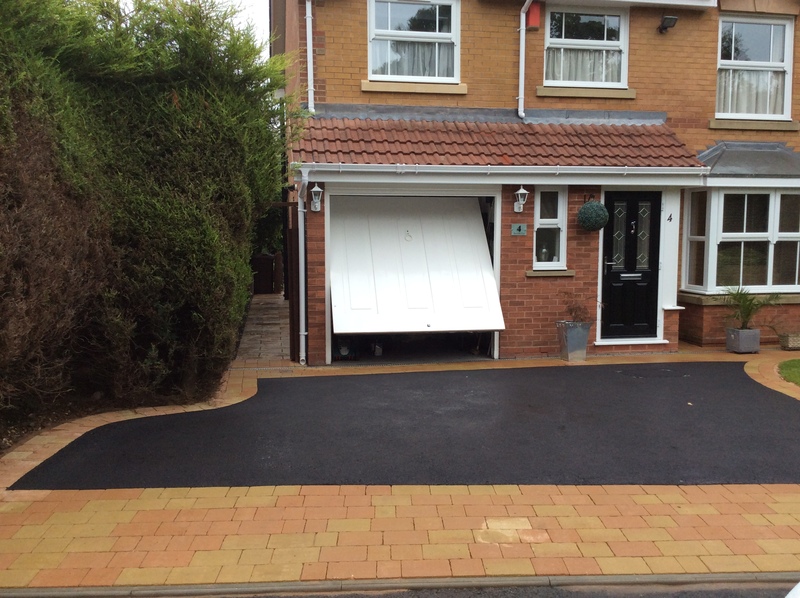 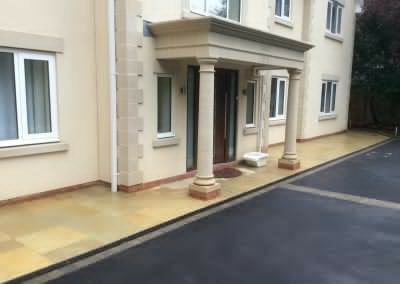 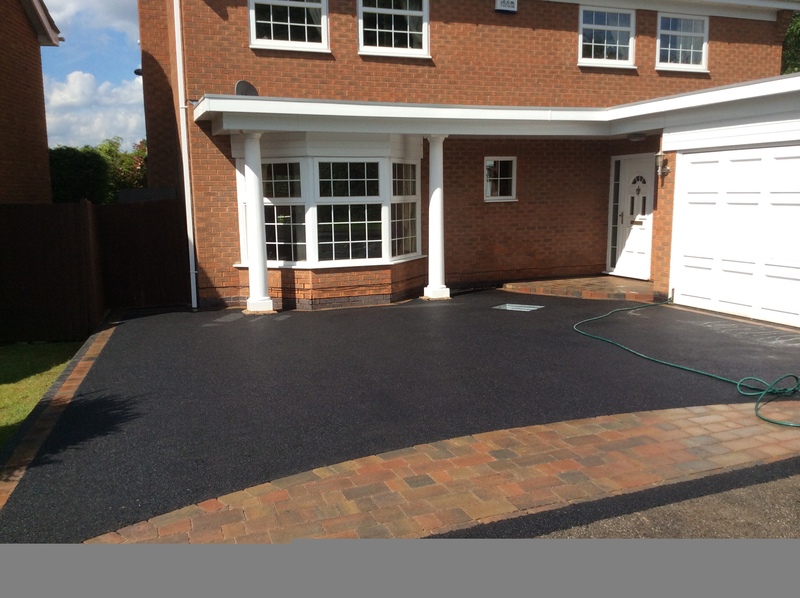 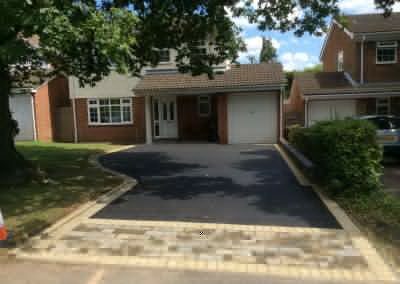 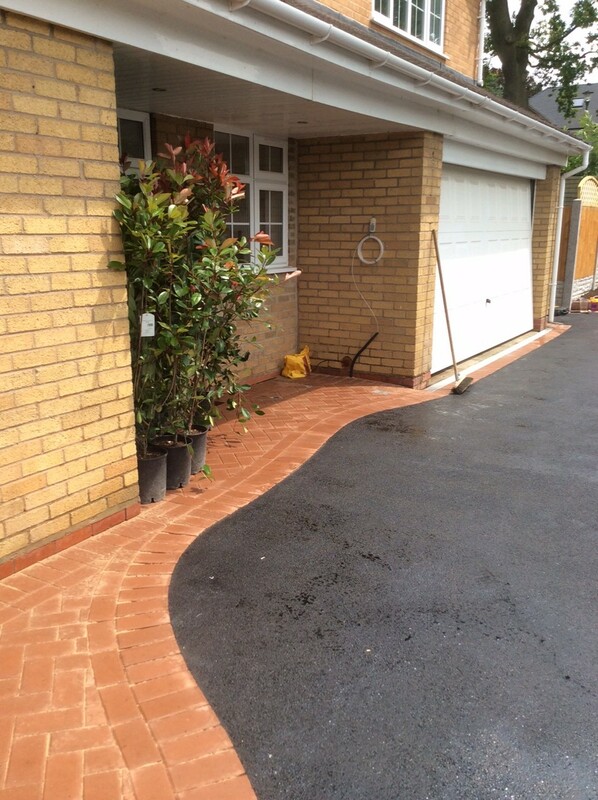 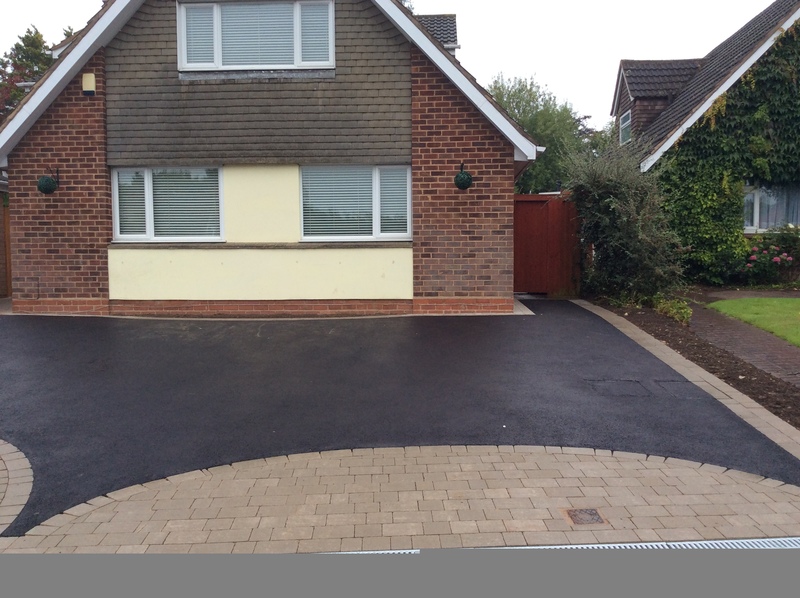 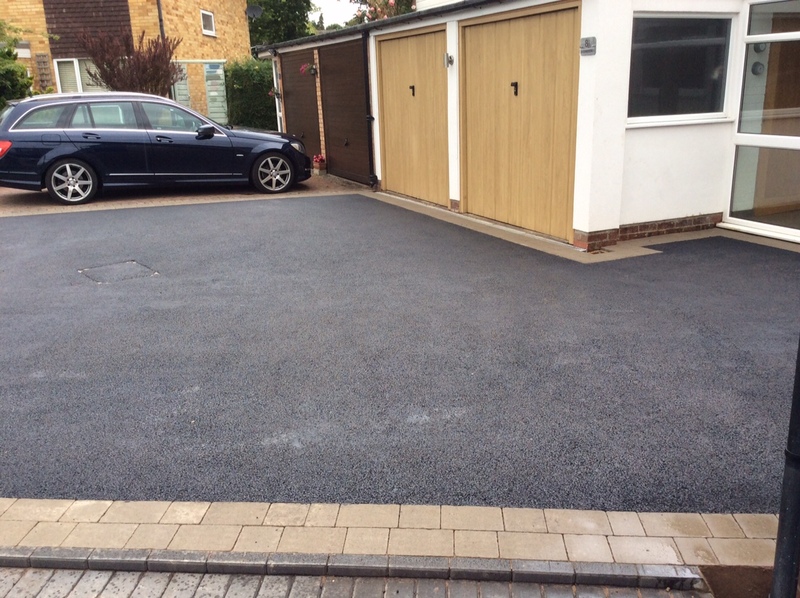 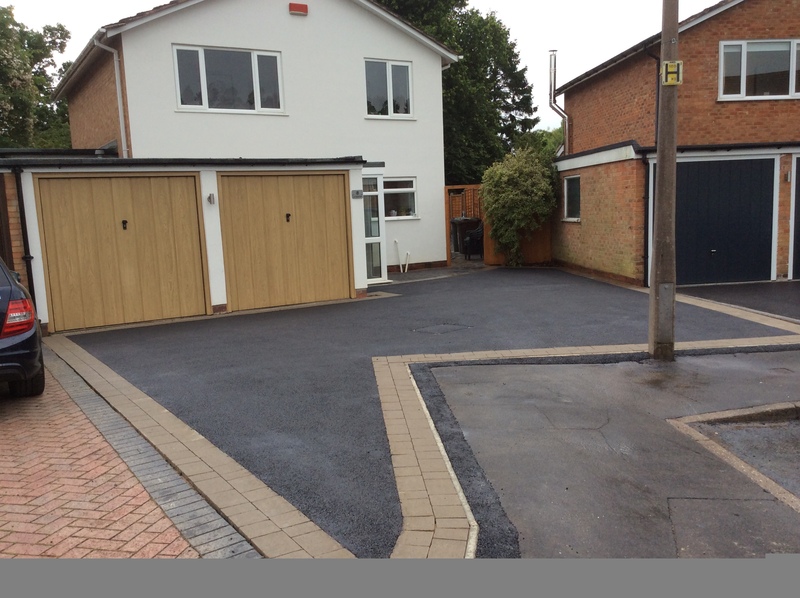 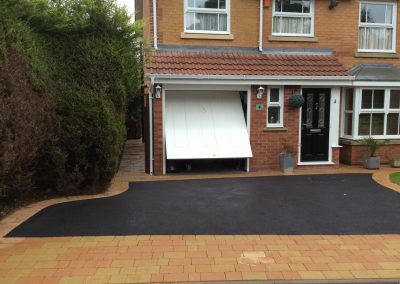 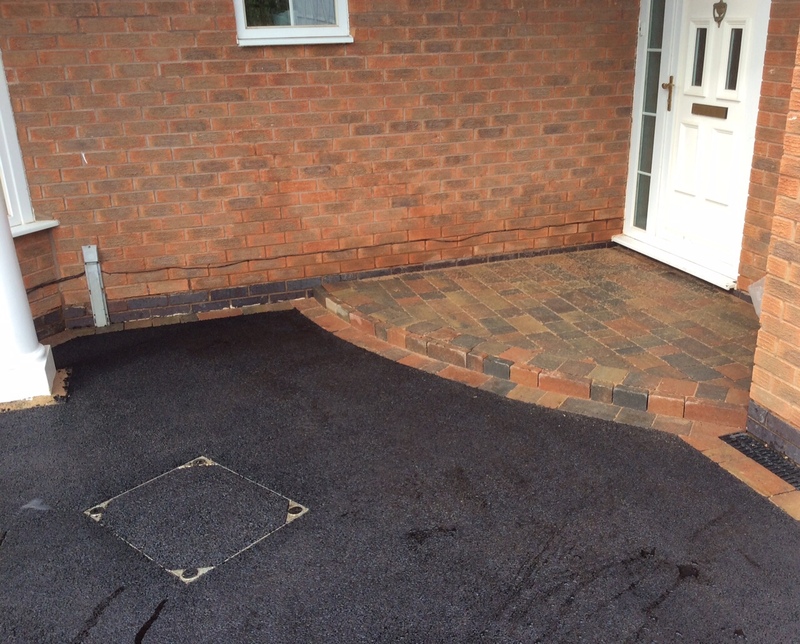 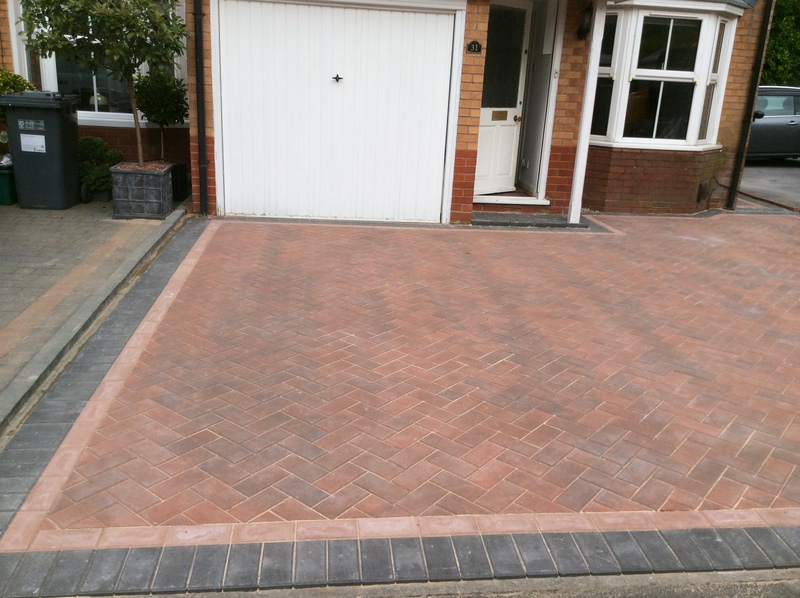 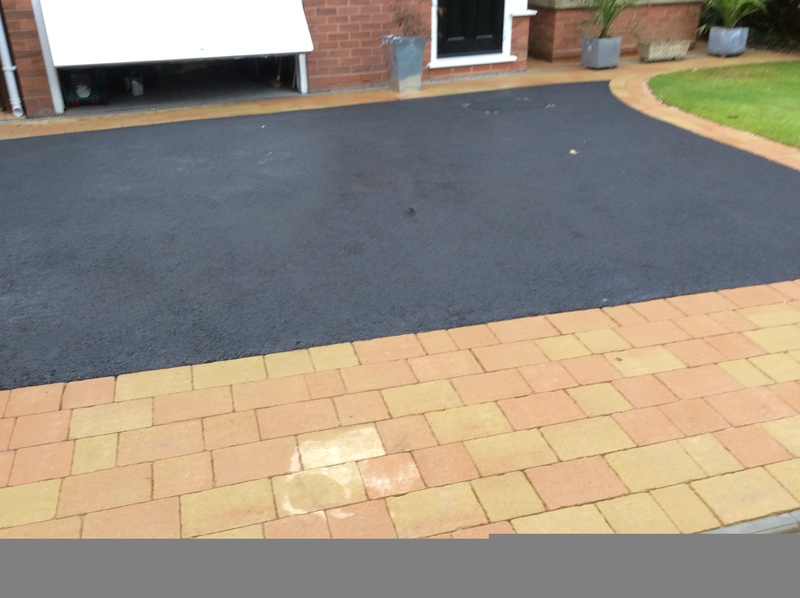 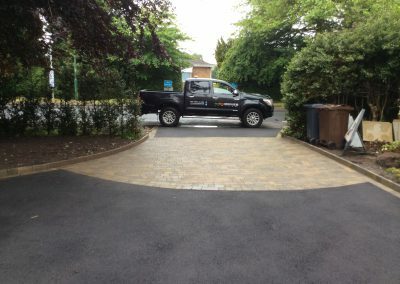 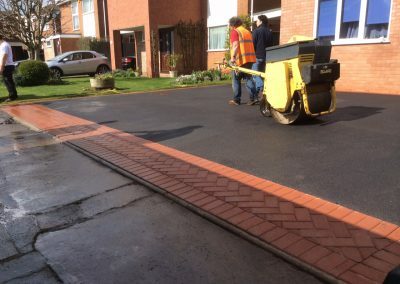 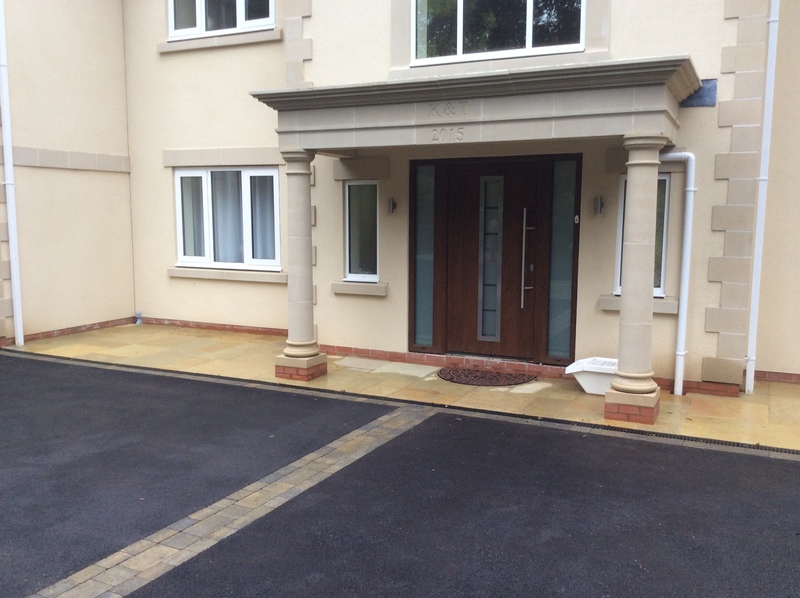 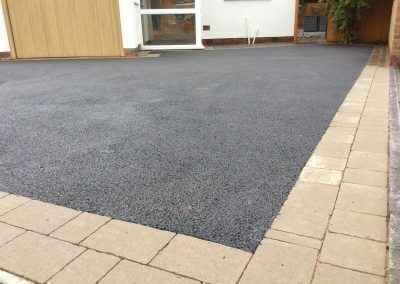 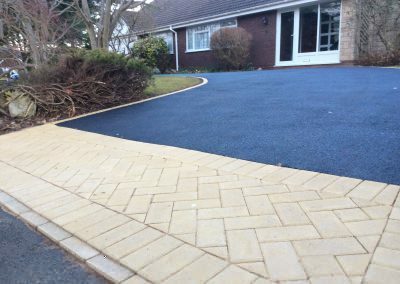 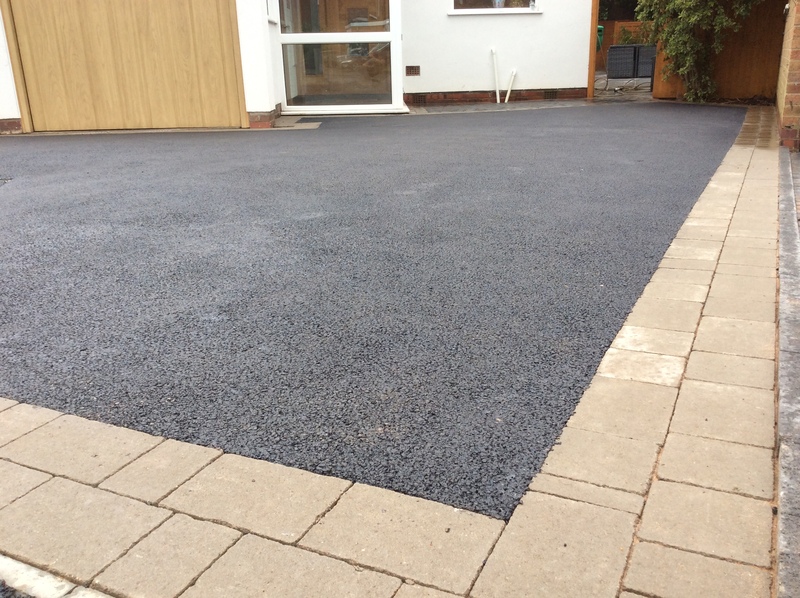 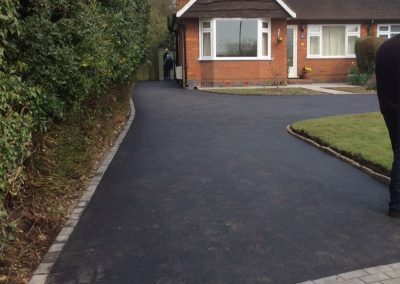 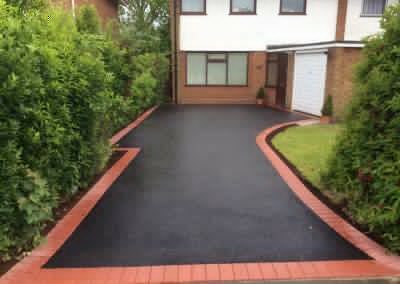 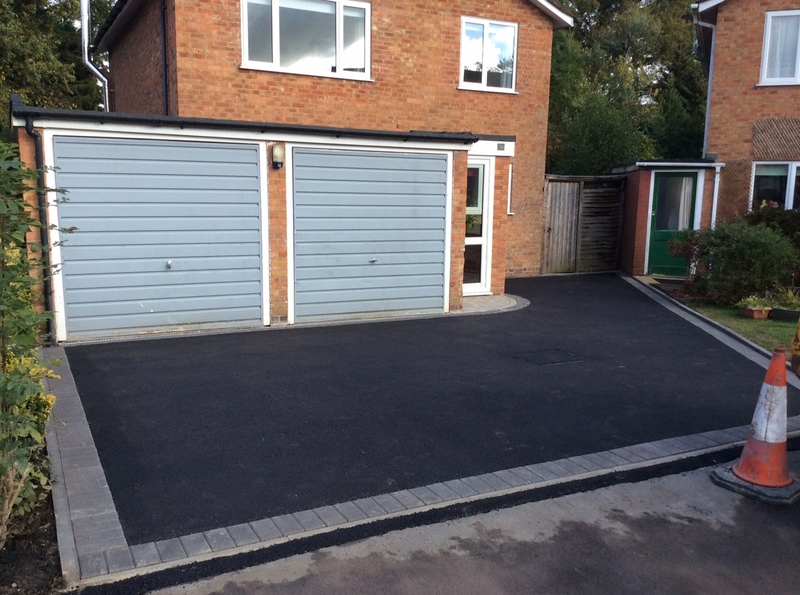 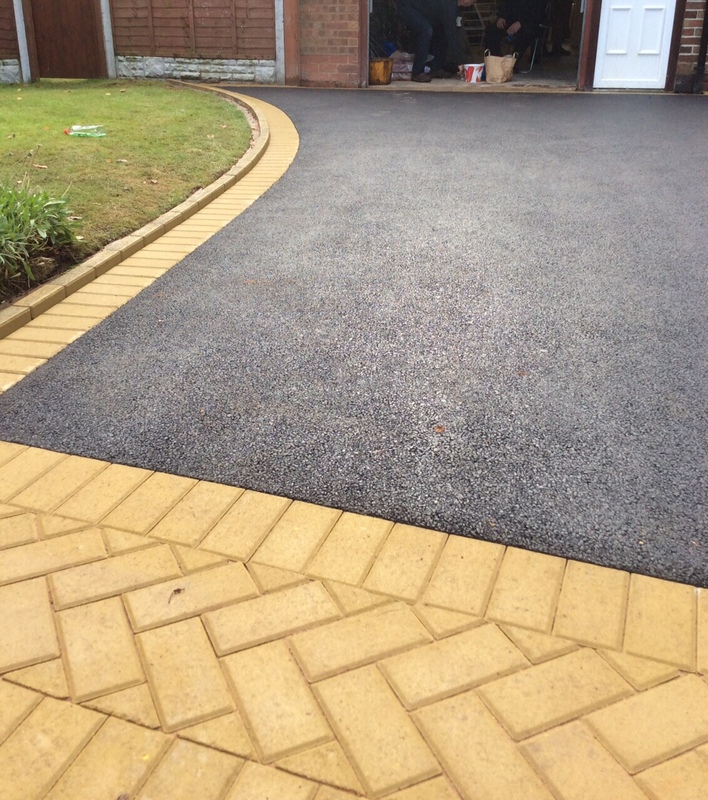 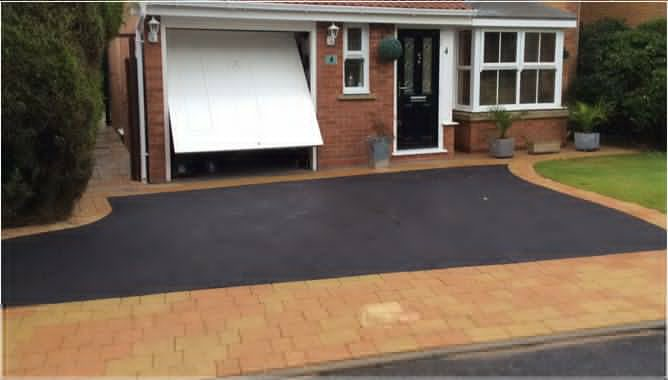 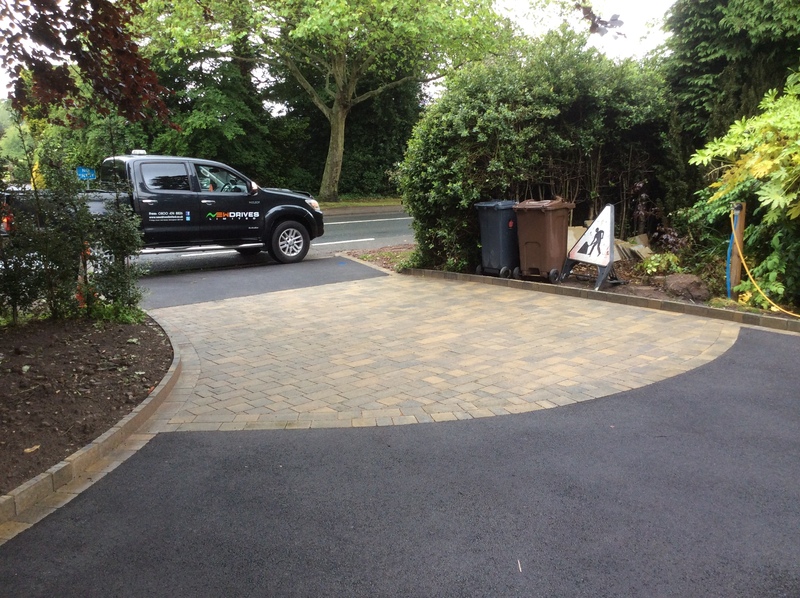 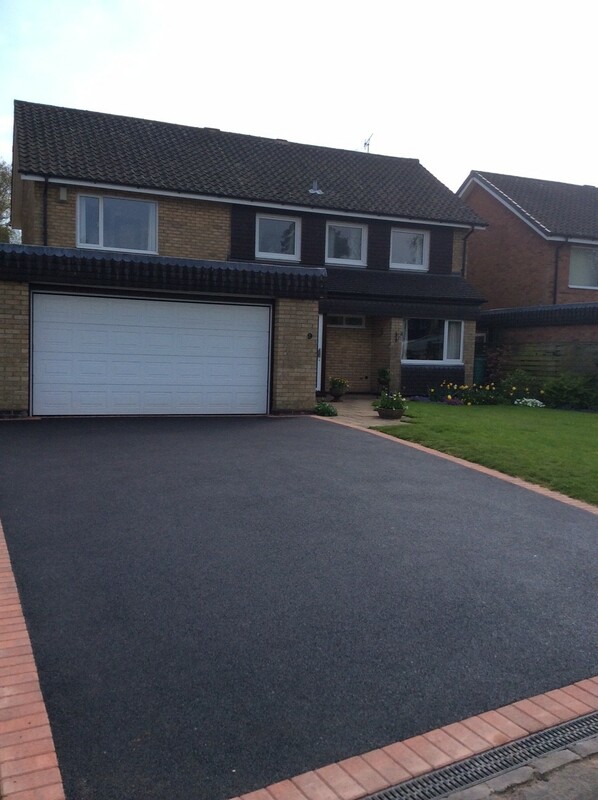 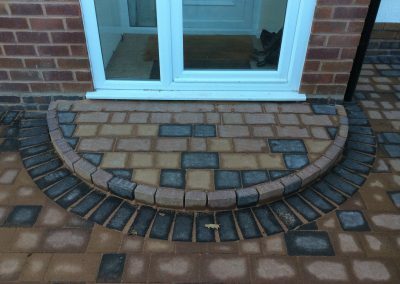 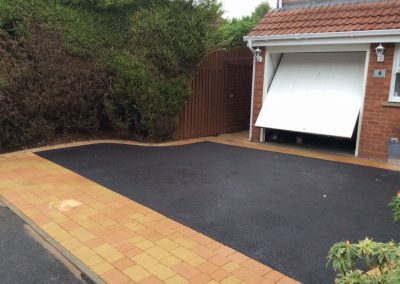 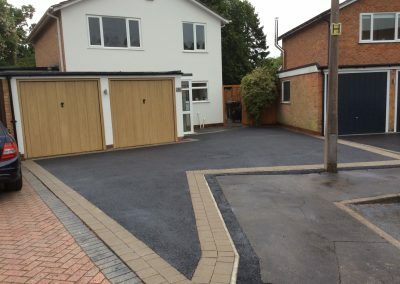 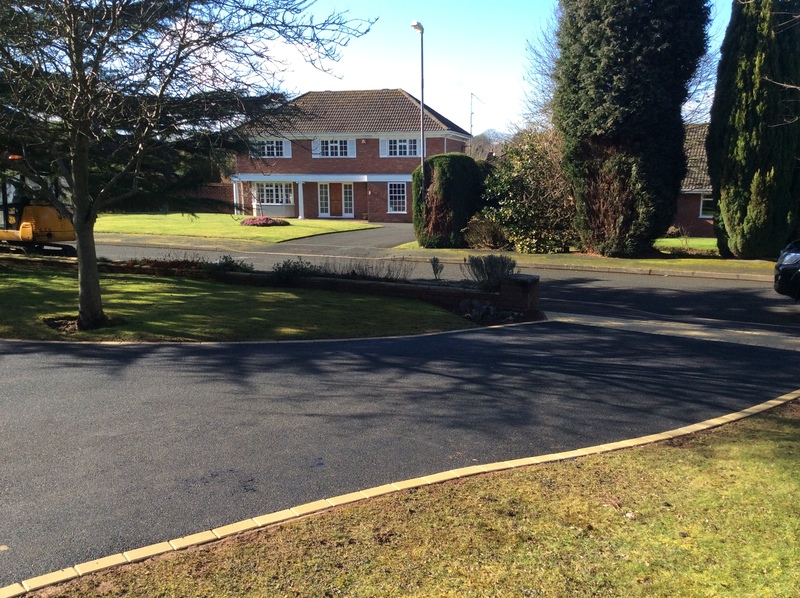 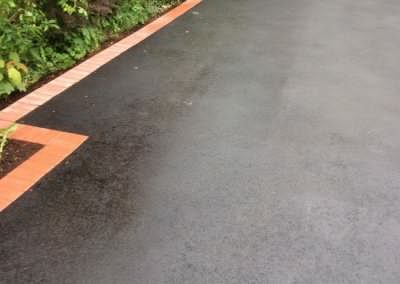 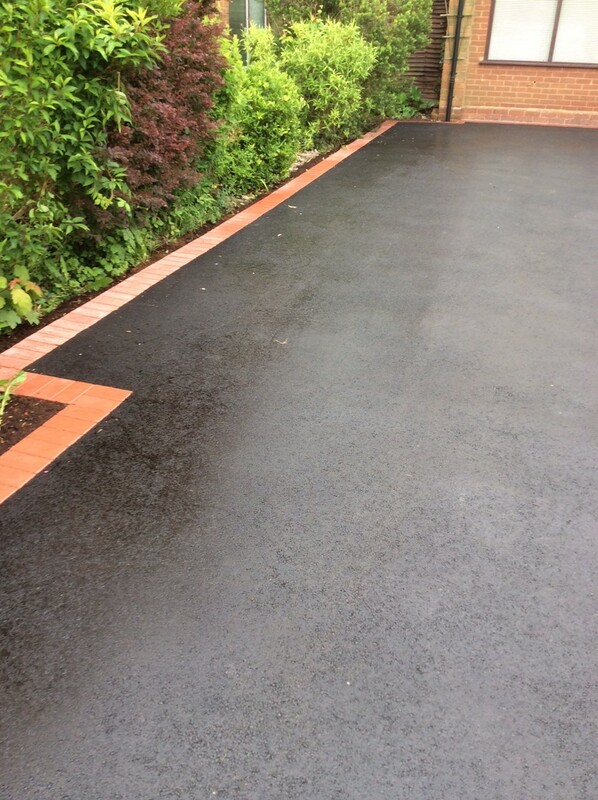 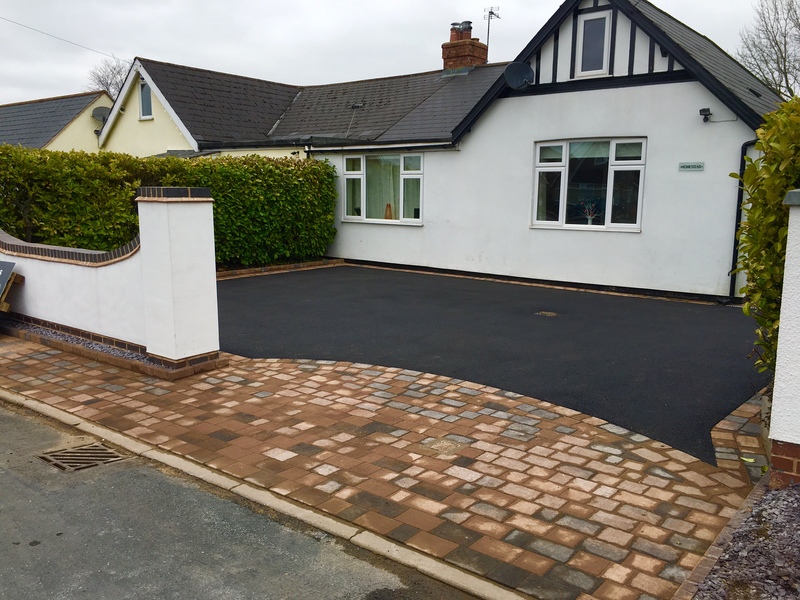 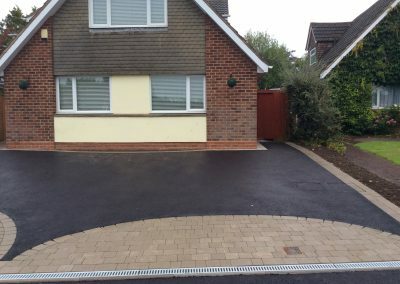 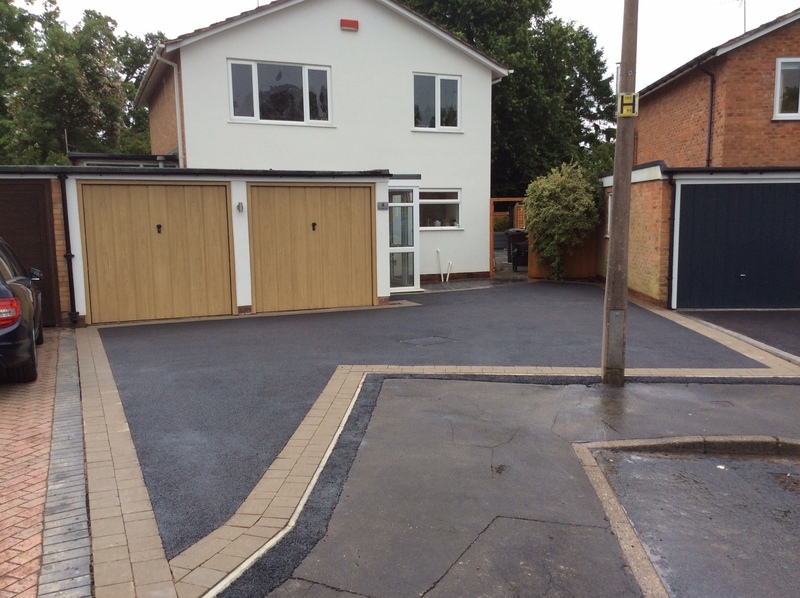 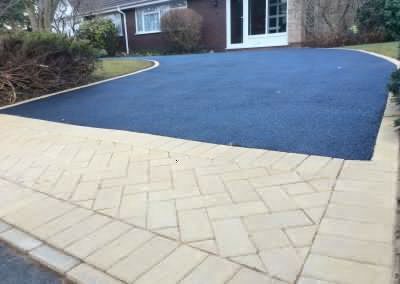 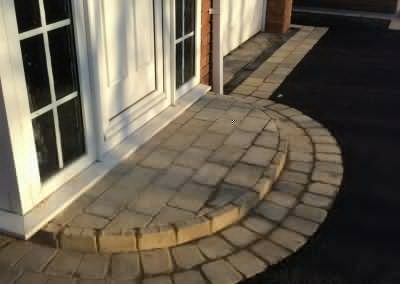 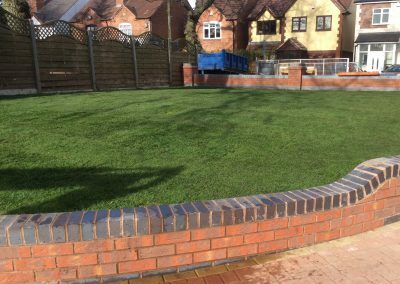 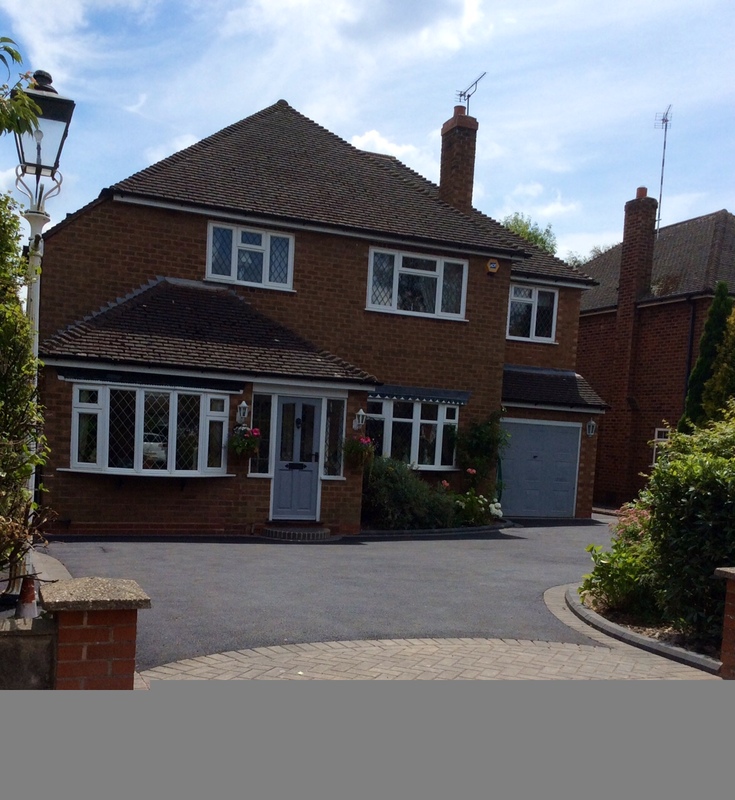 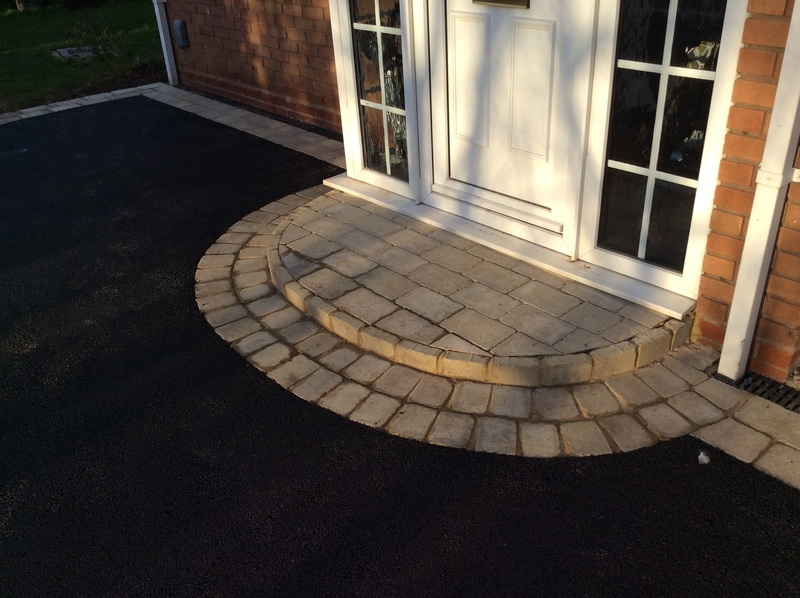 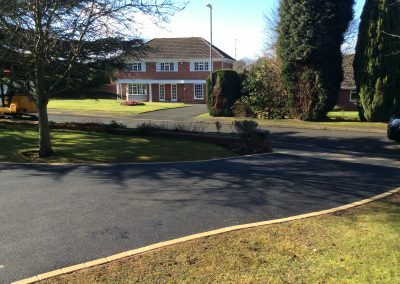 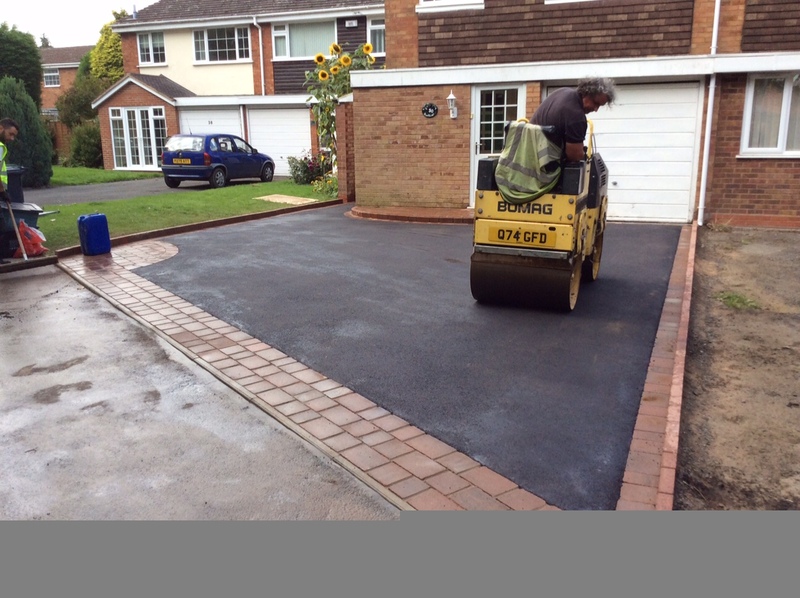 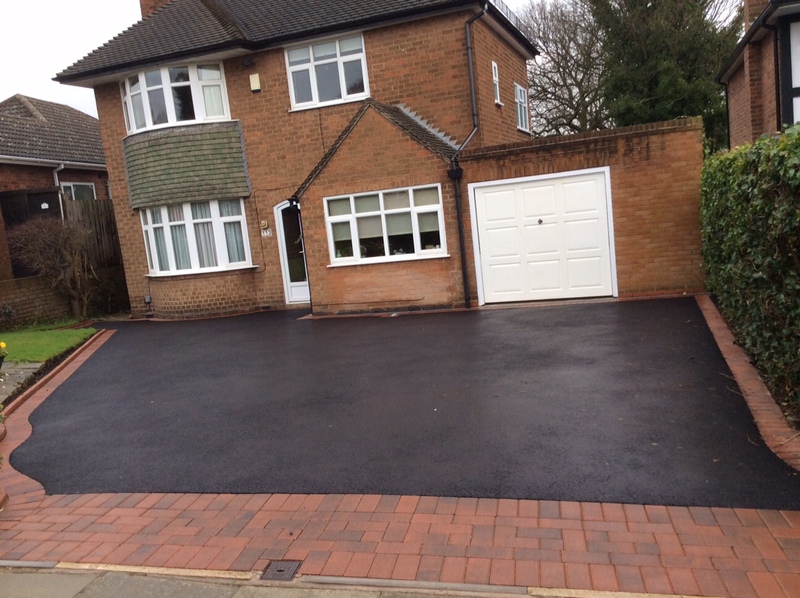 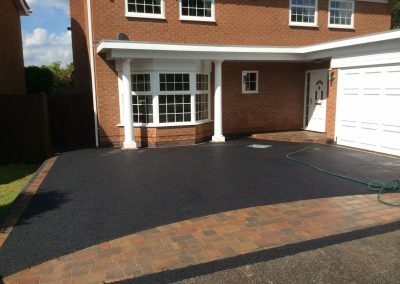 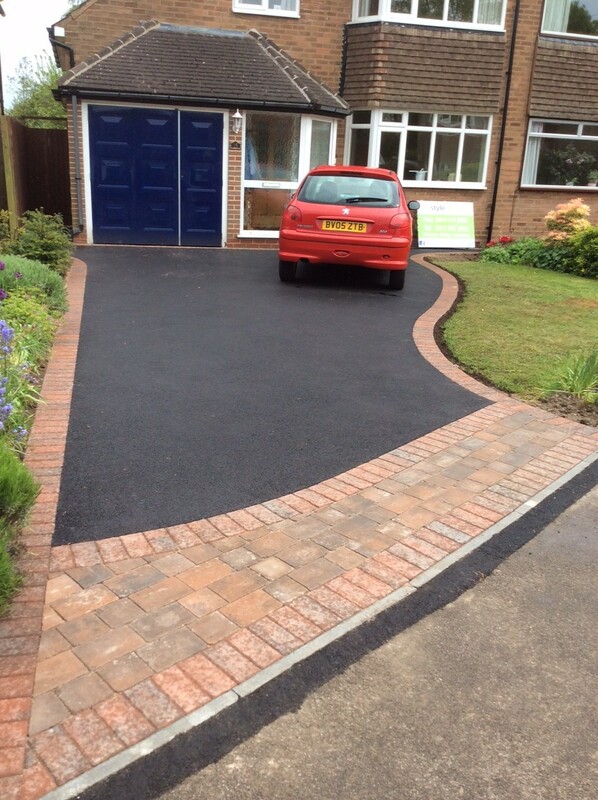 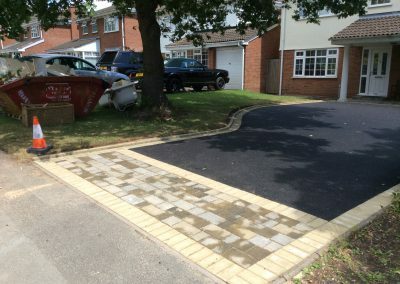 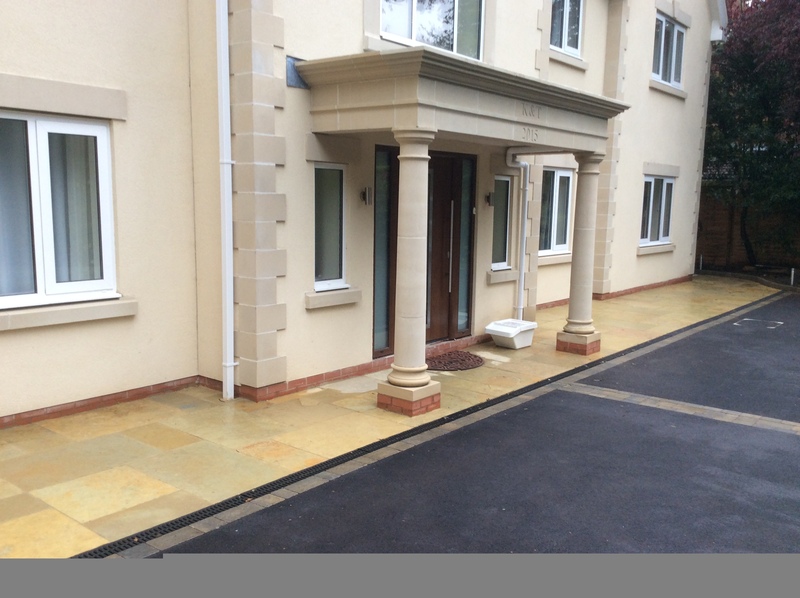 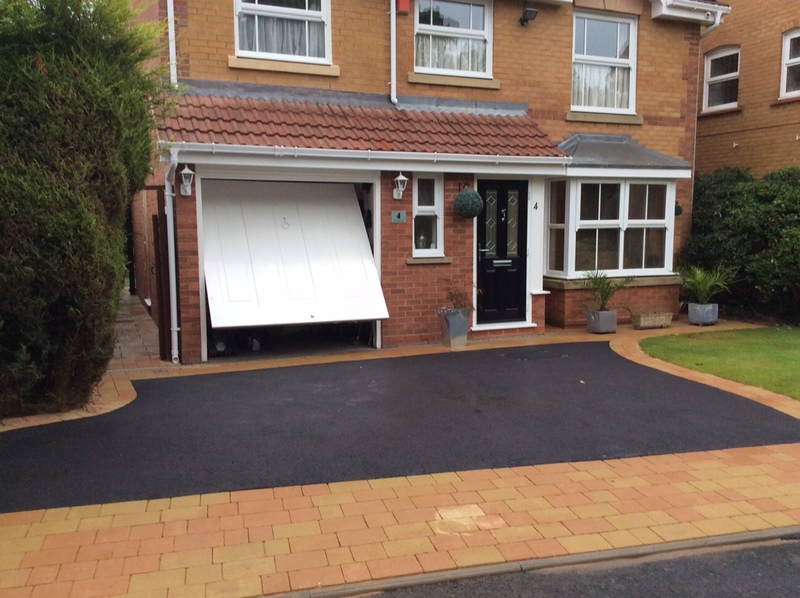 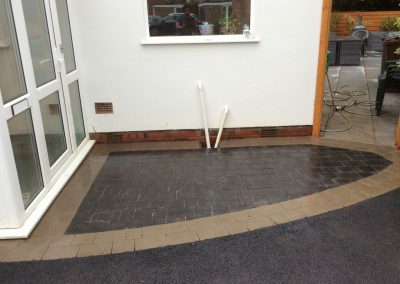 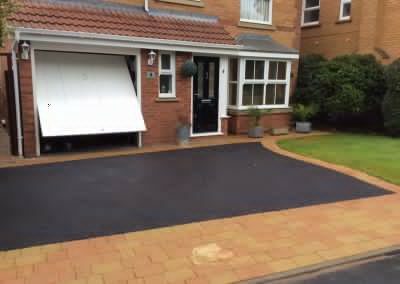 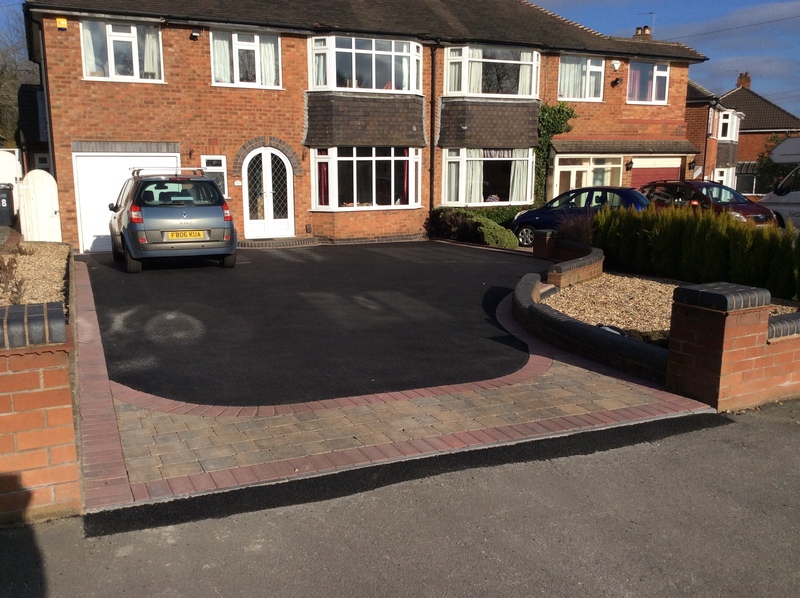 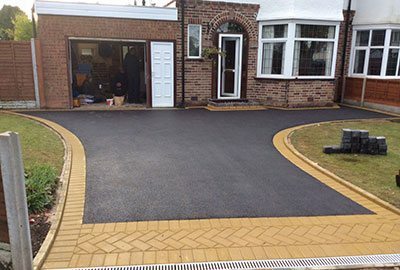 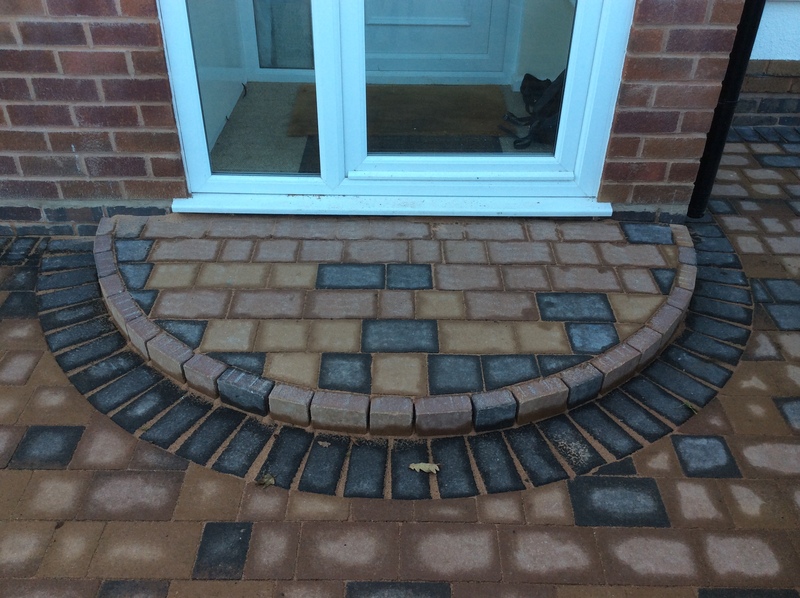 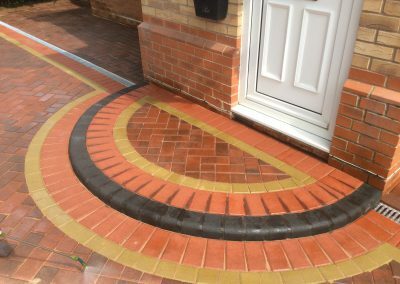 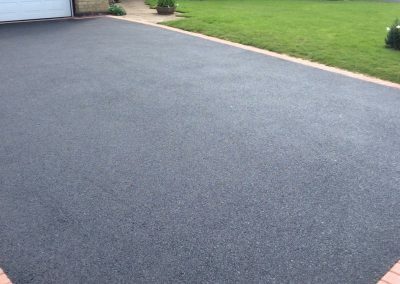 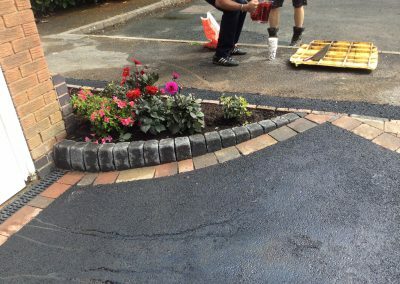 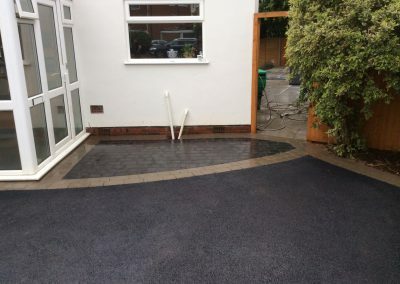 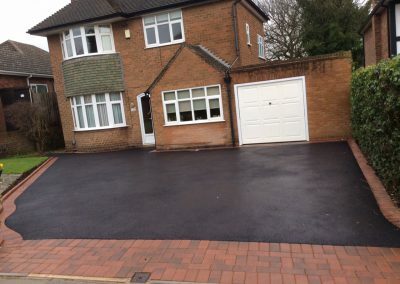 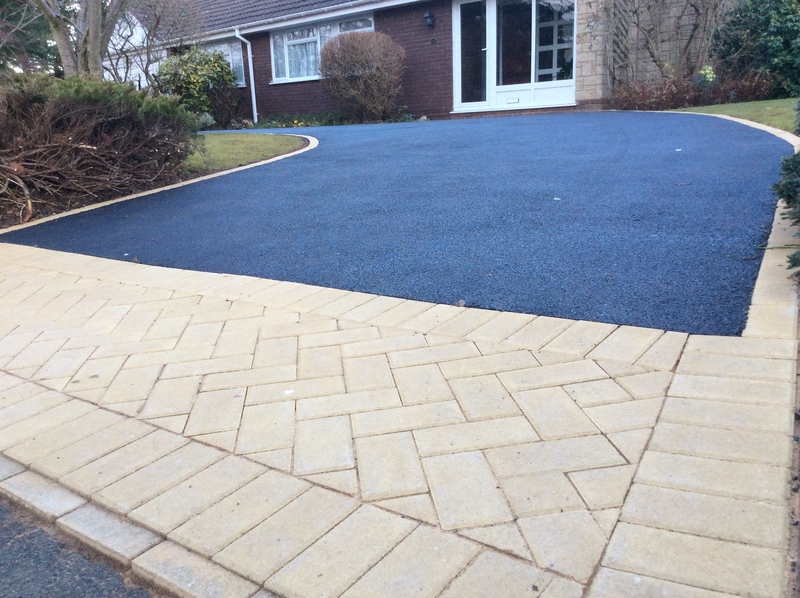 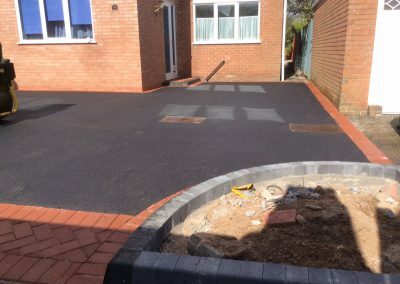 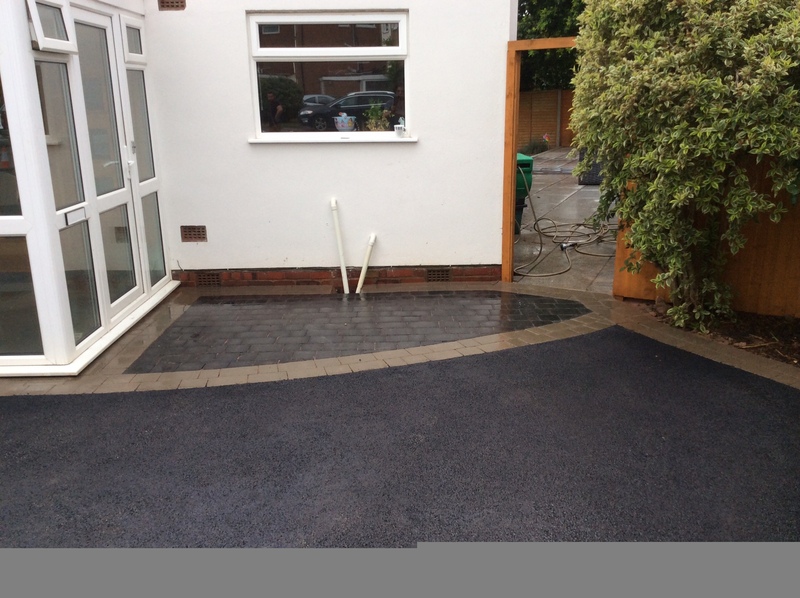 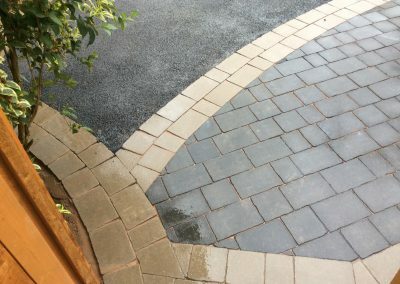 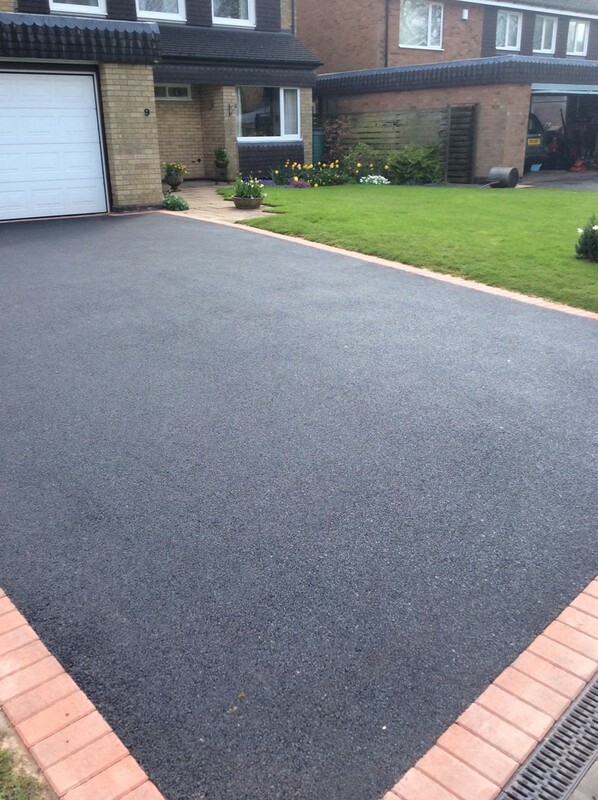 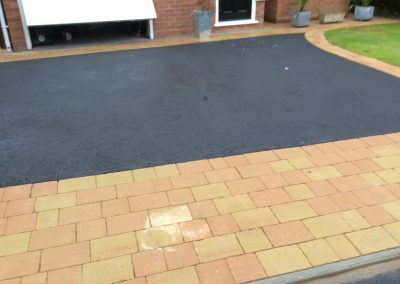 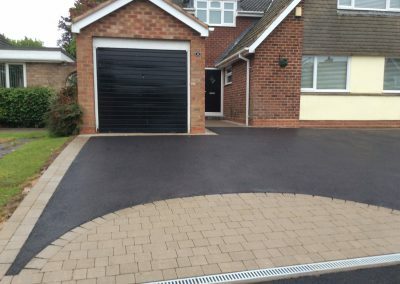 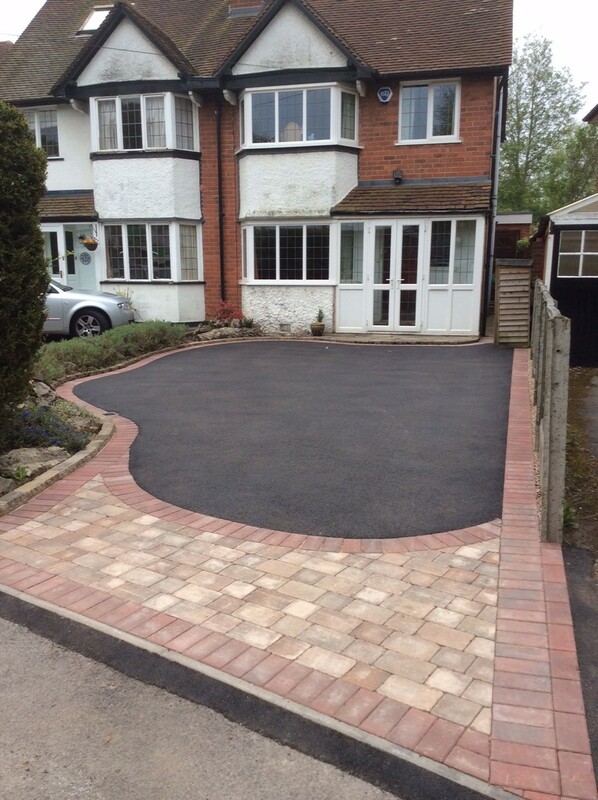 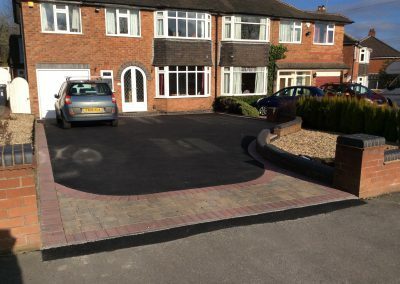 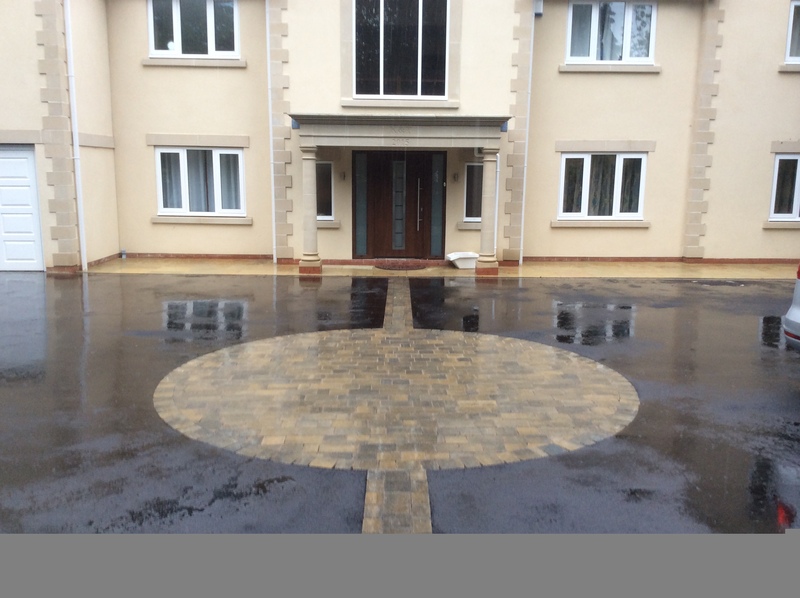 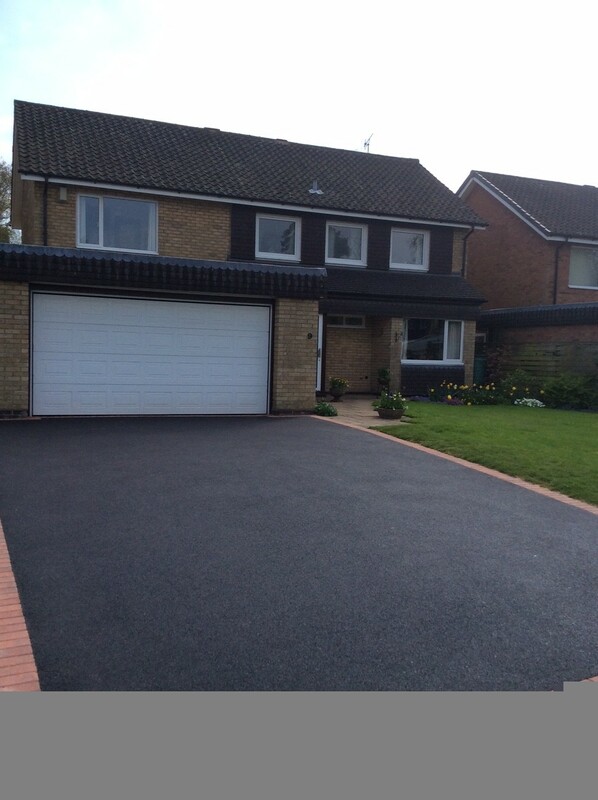 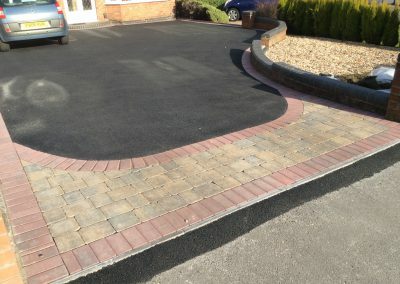 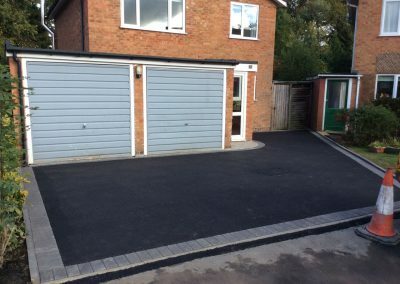 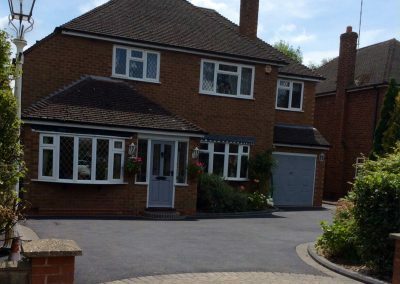 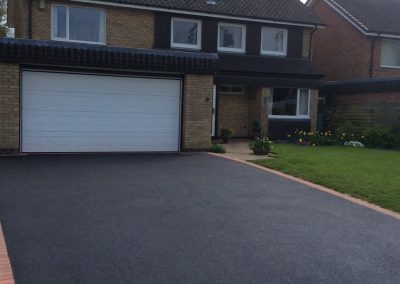 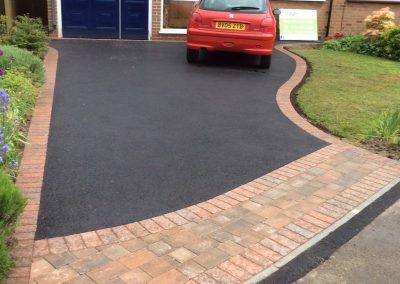 Here is one of our latest stunning tarmac driveways in Sutton Coldfield, featuring aged cobble paving stones across the front and sides of the drive to give it character and key-kerbs for strength and to provide adequate height for borders. 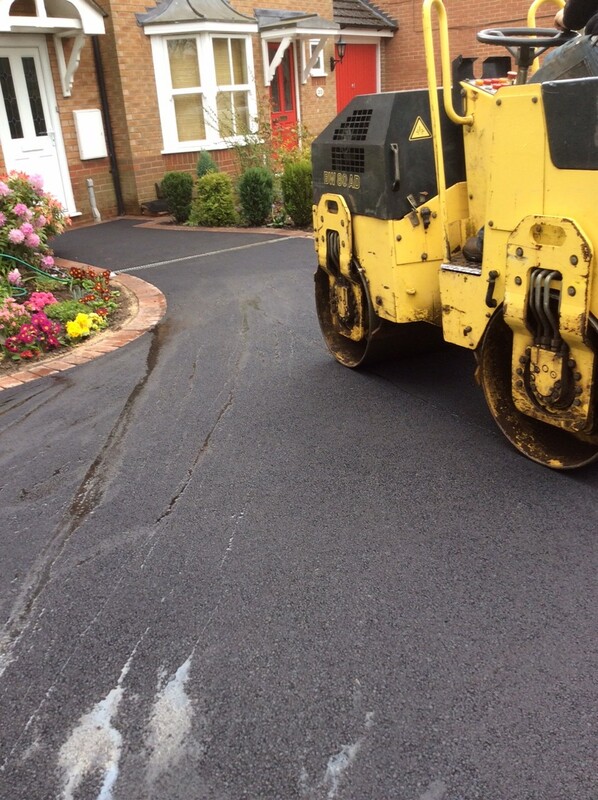 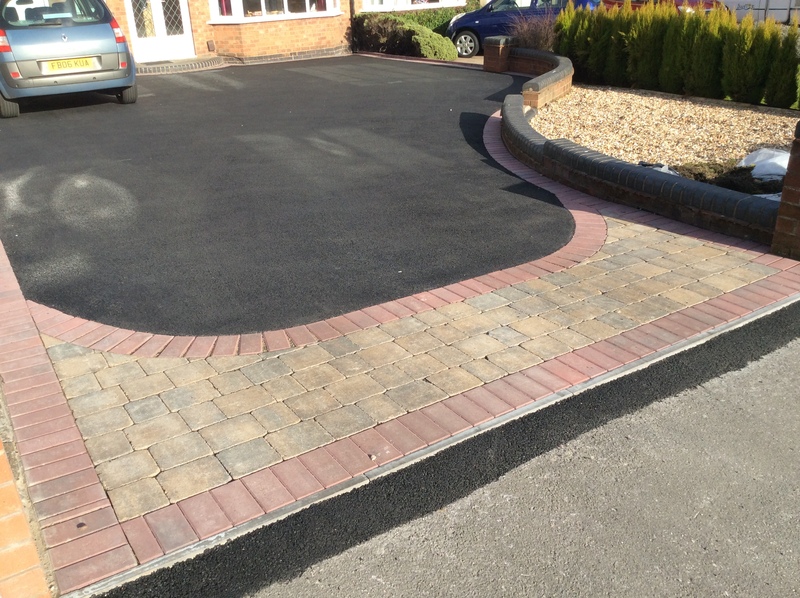 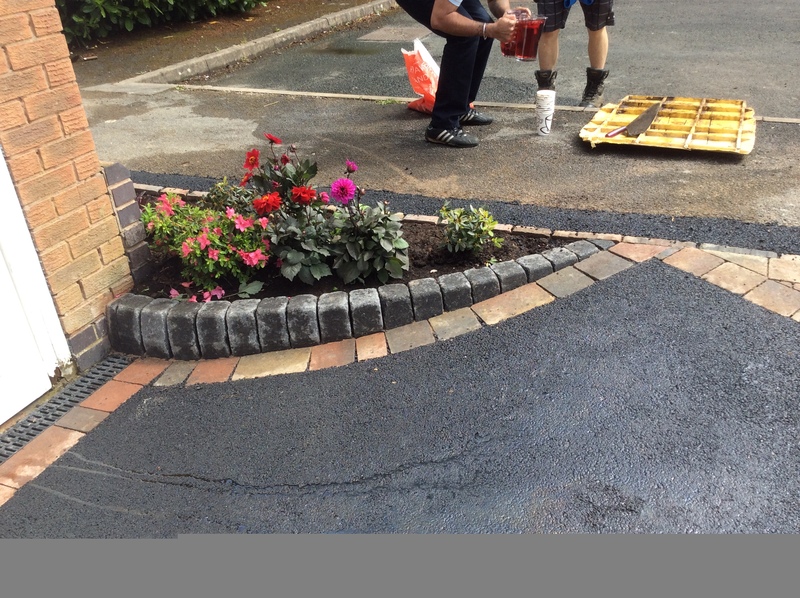 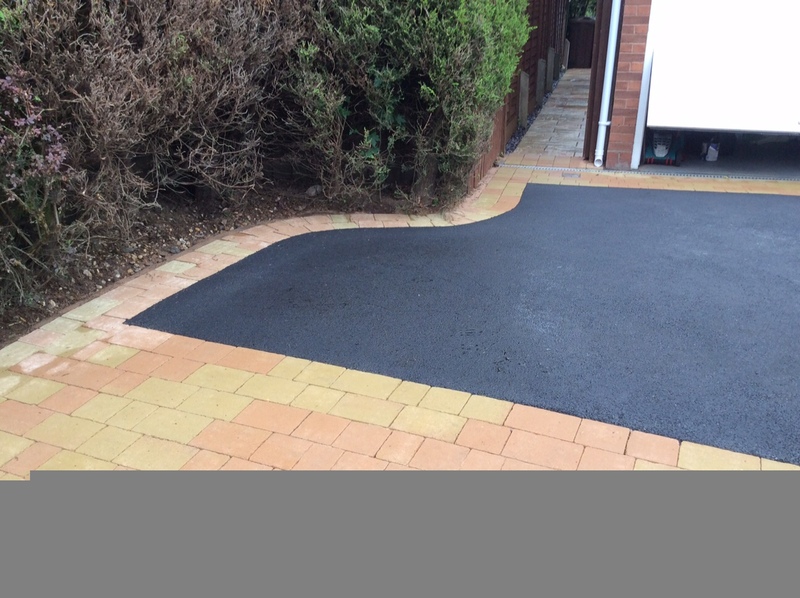 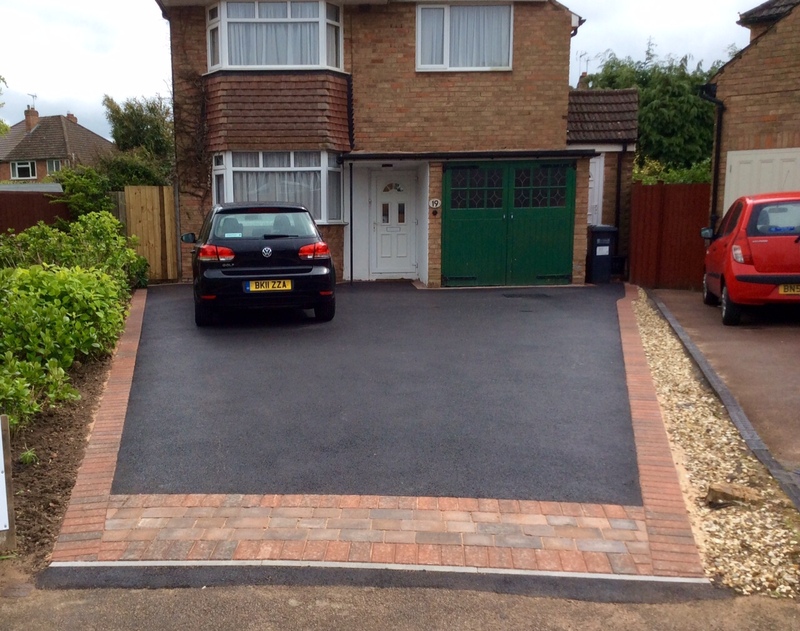 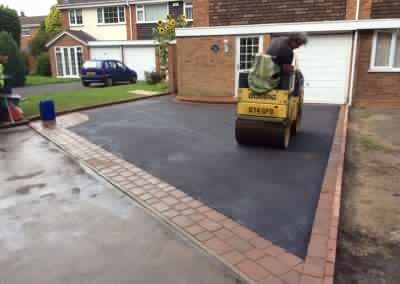 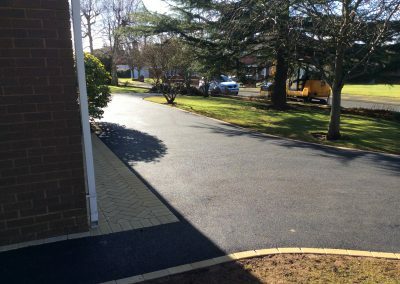 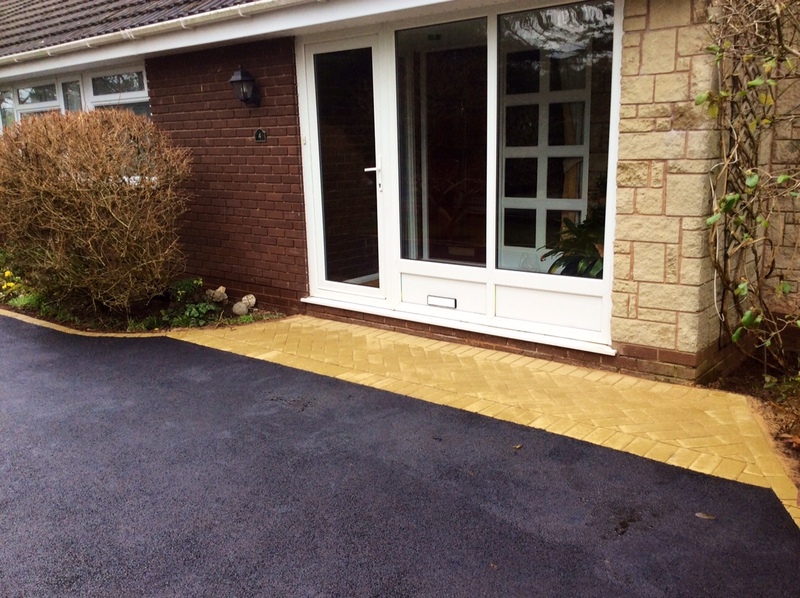 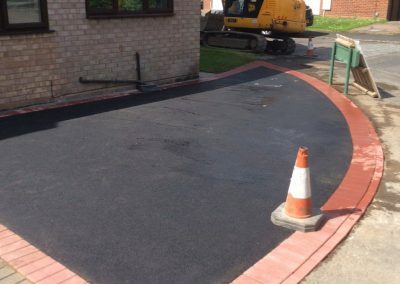 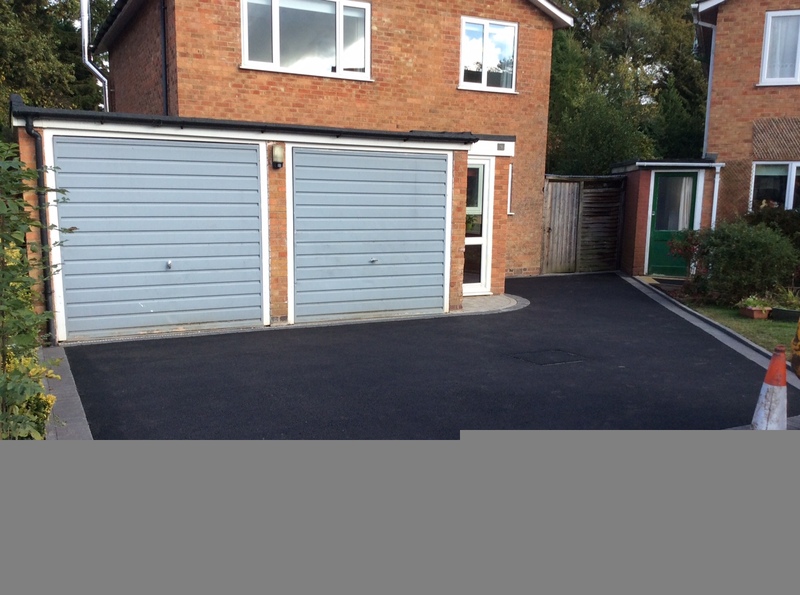 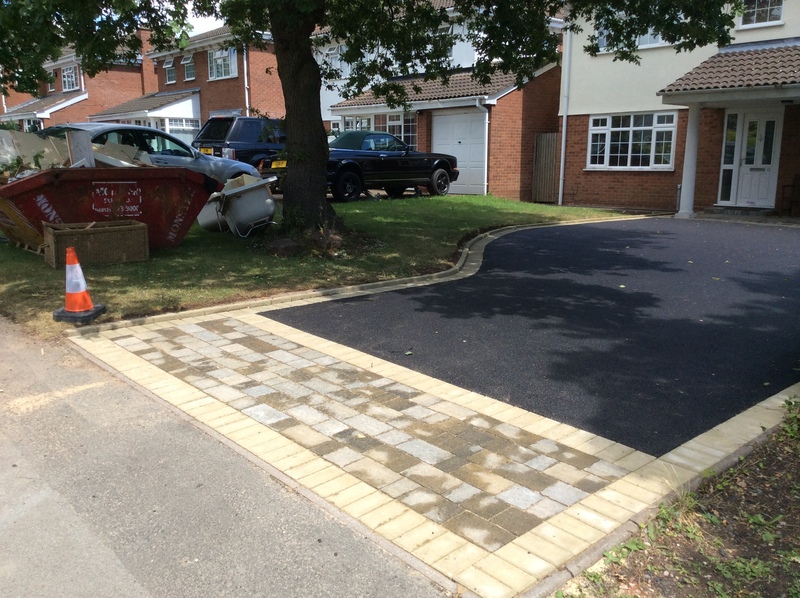 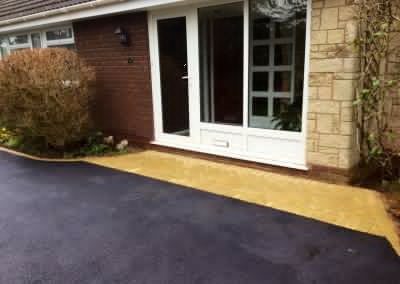 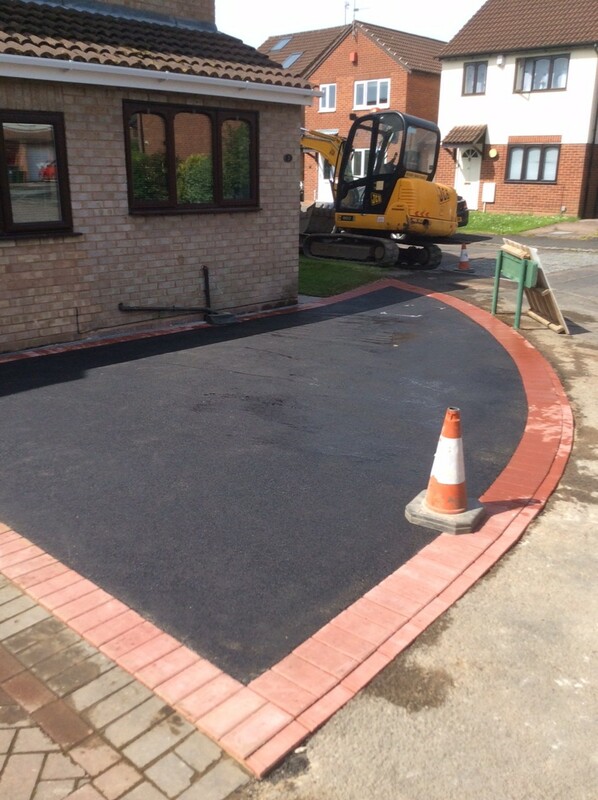 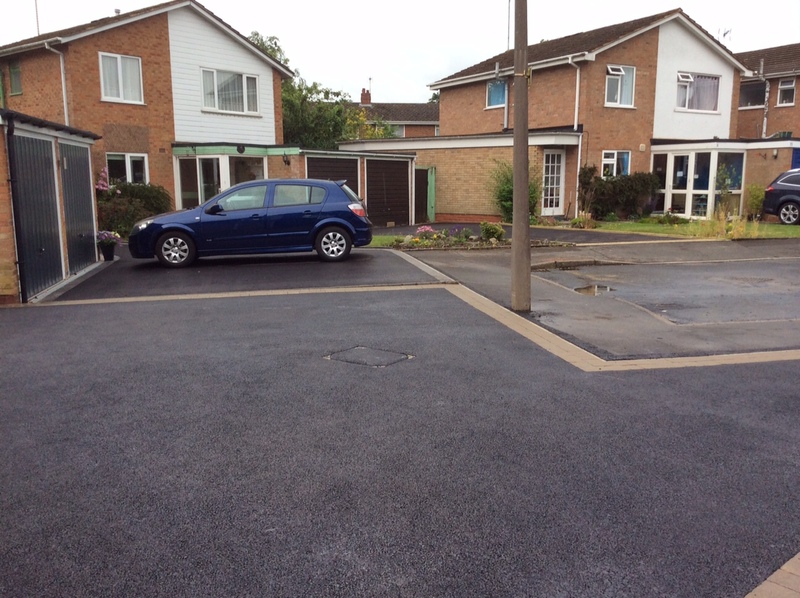 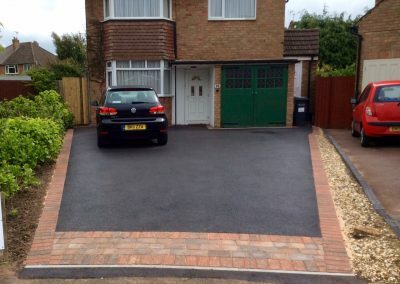 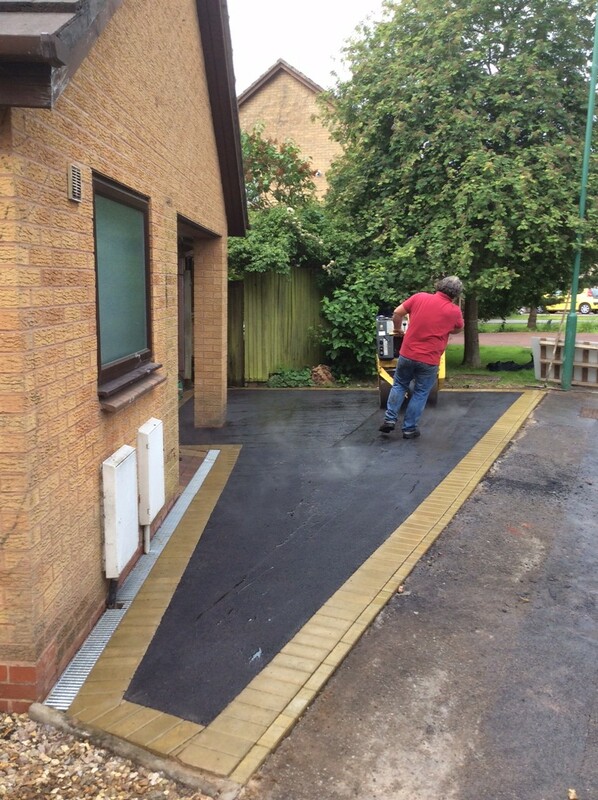 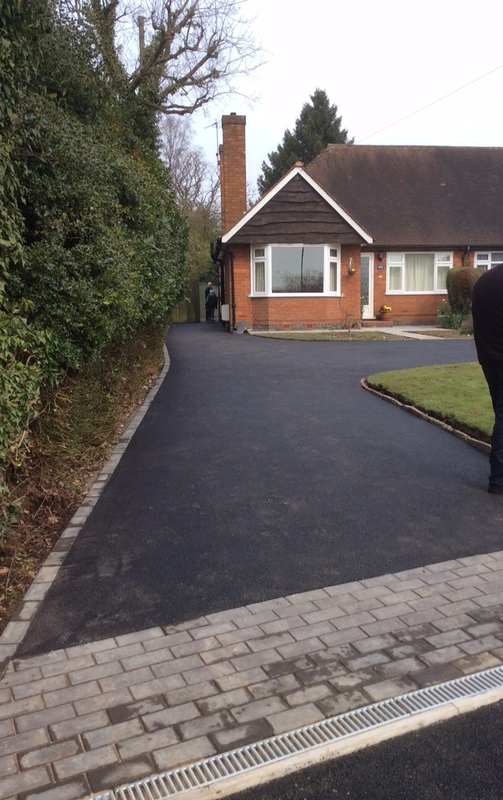 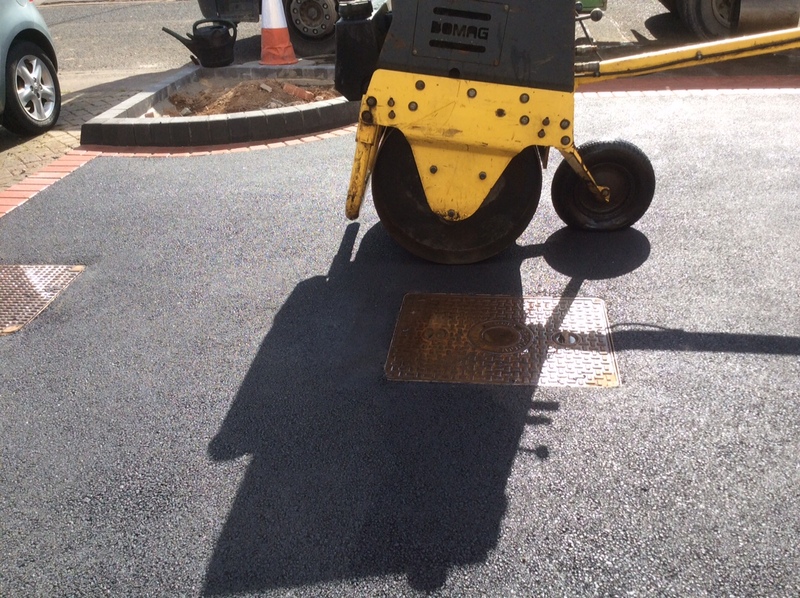 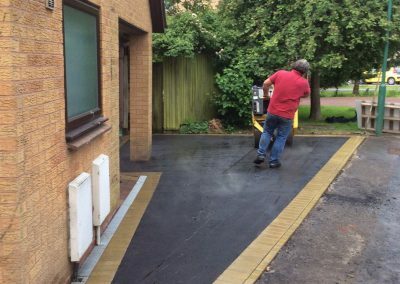 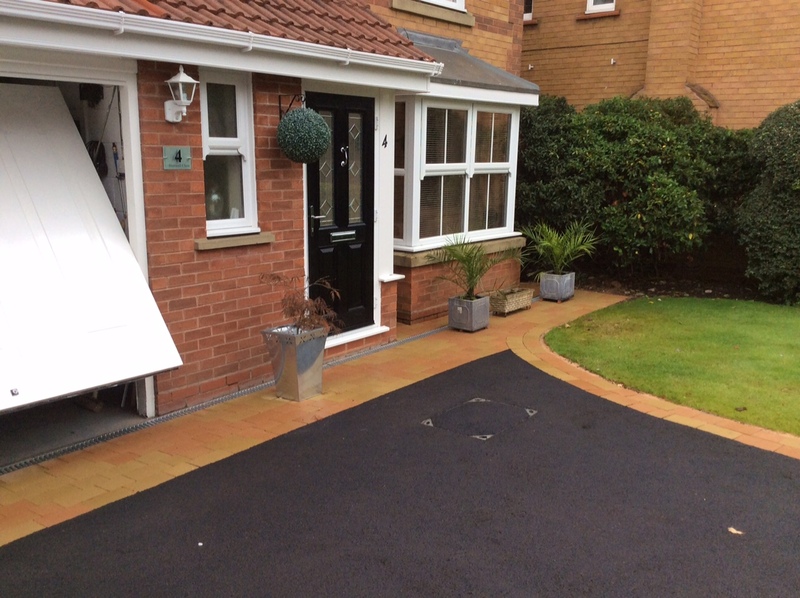 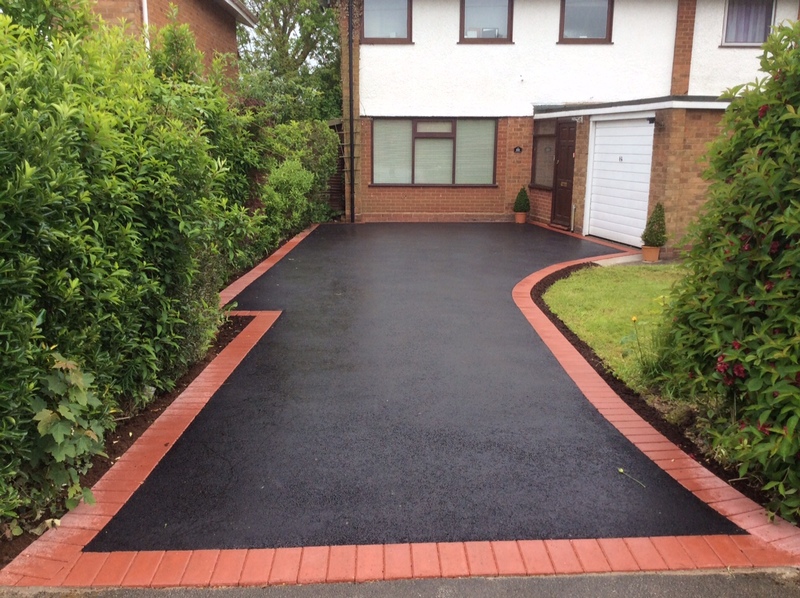 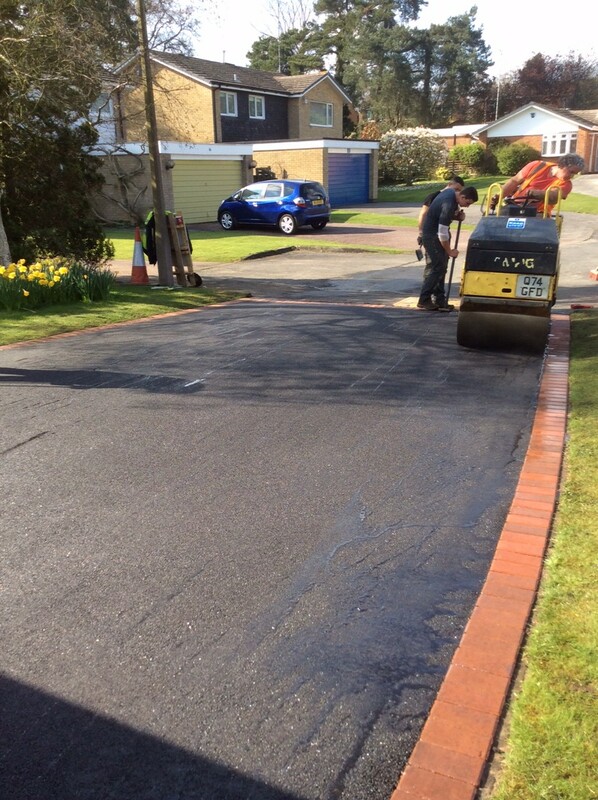 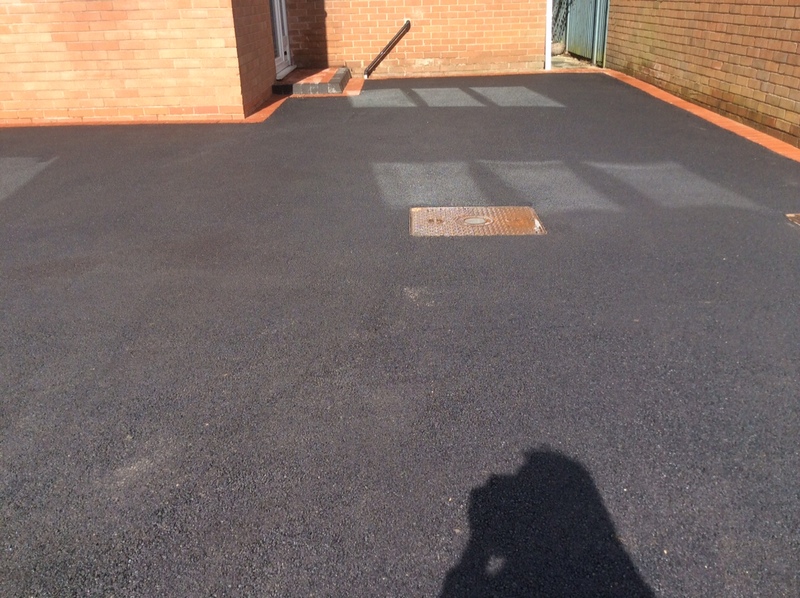 The main driveway areas features porous SMA asphalt to comply with local building regs. 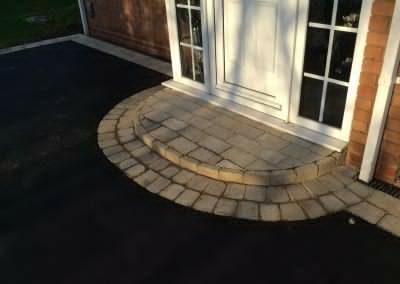 A new half moon door step was also added. 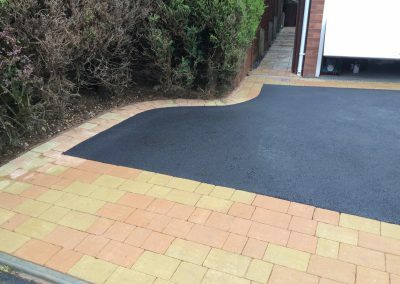 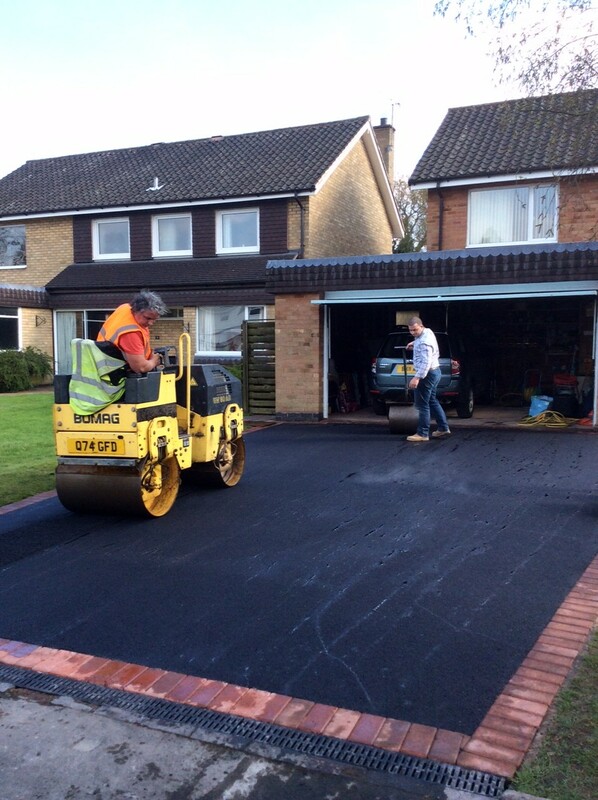 The new driveway took just 4 days from start to finish.